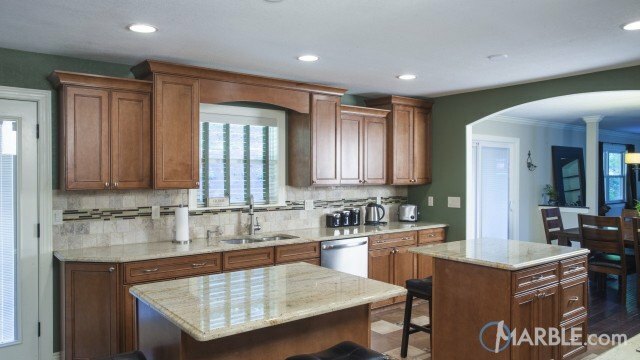 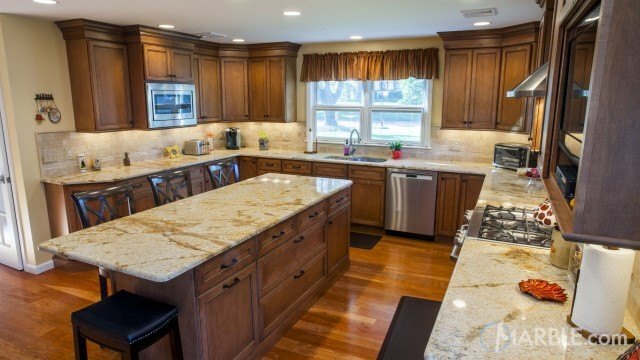 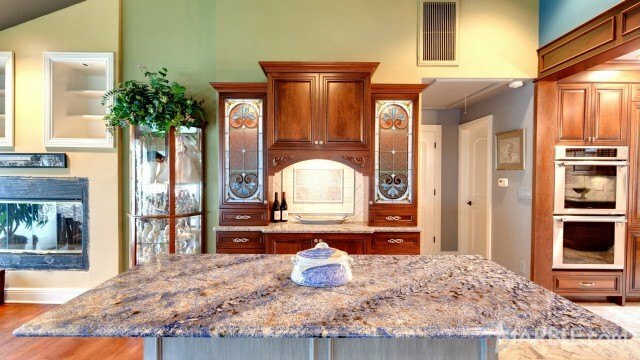 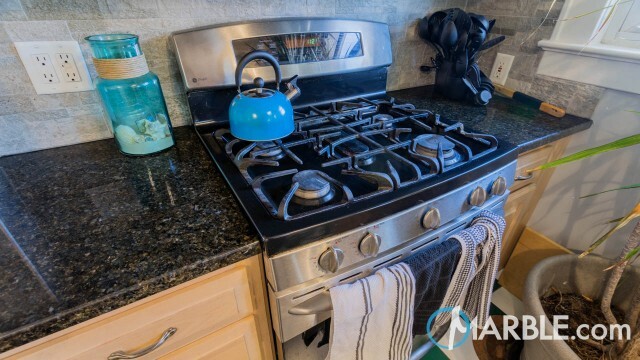 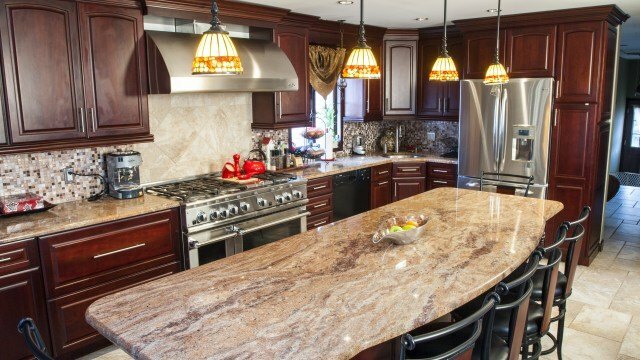 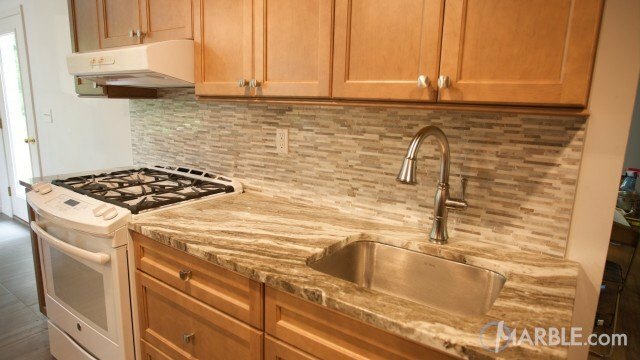 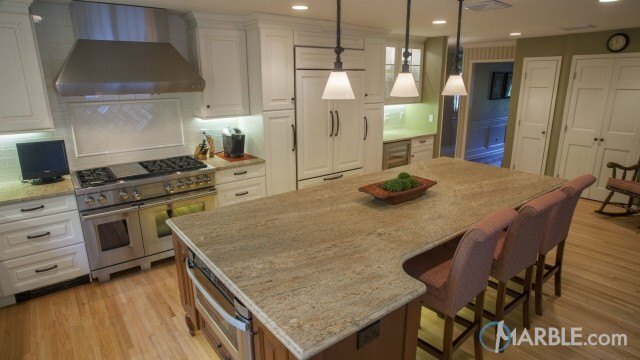 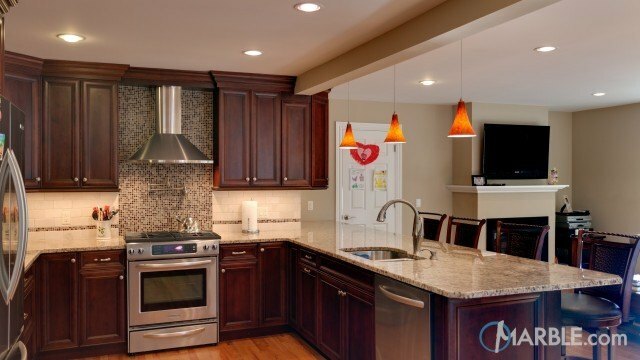 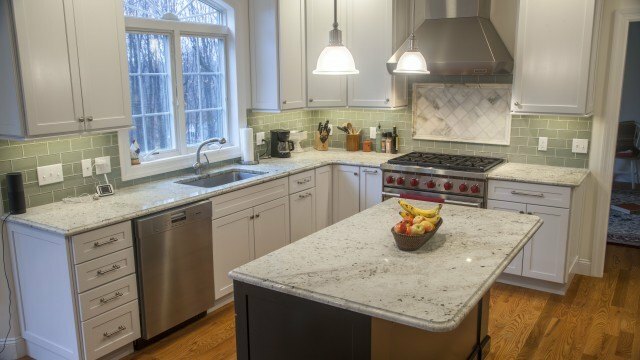 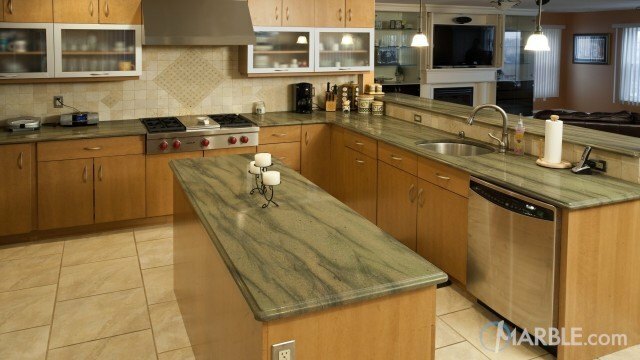 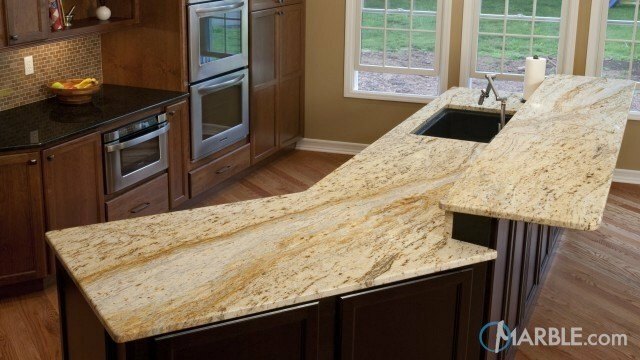 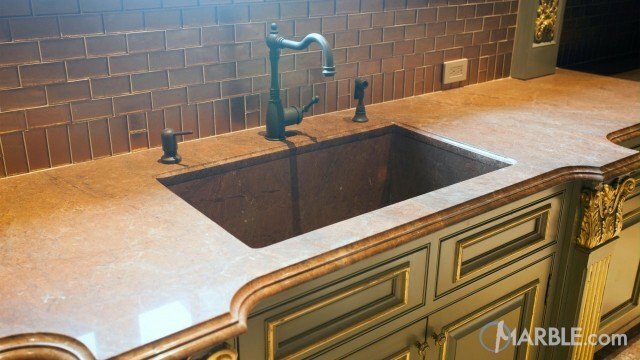 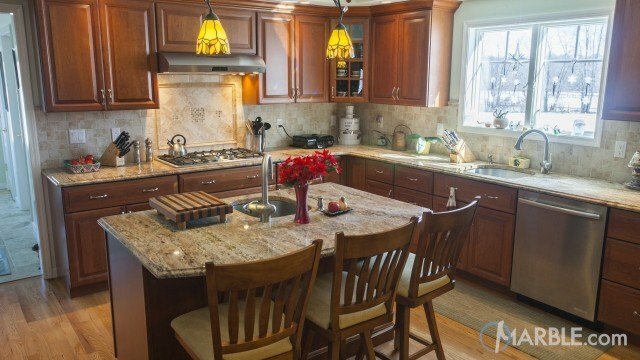 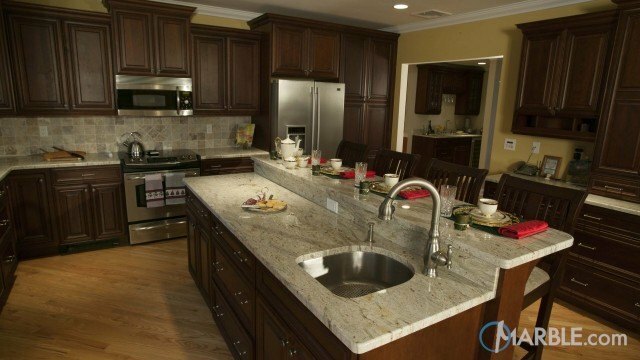 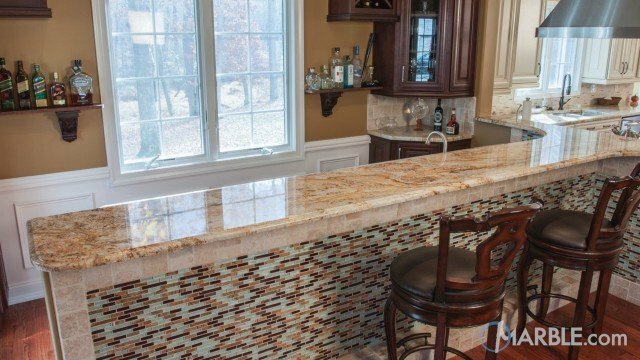 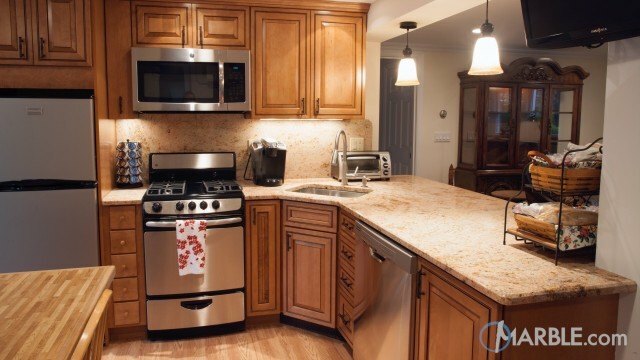 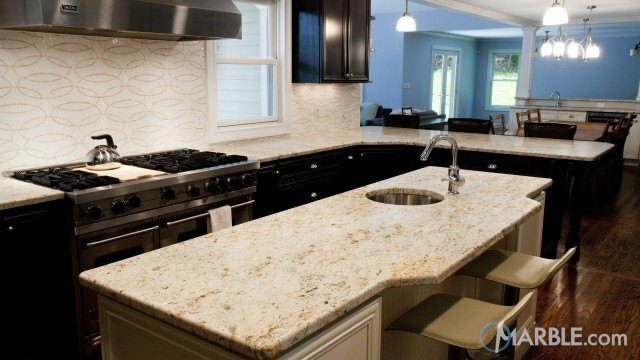 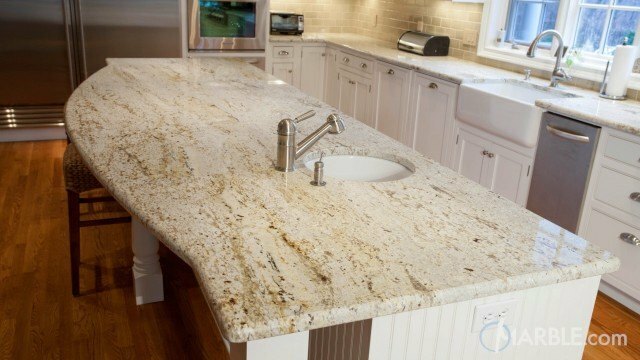 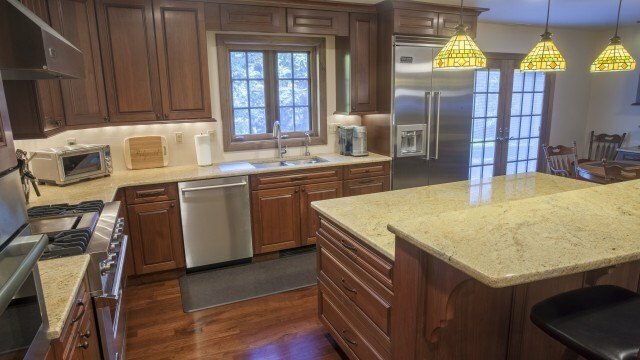 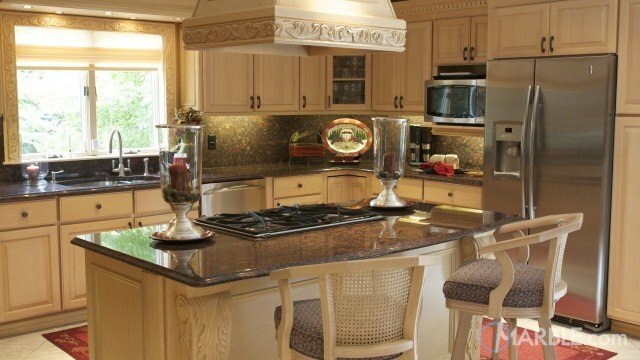 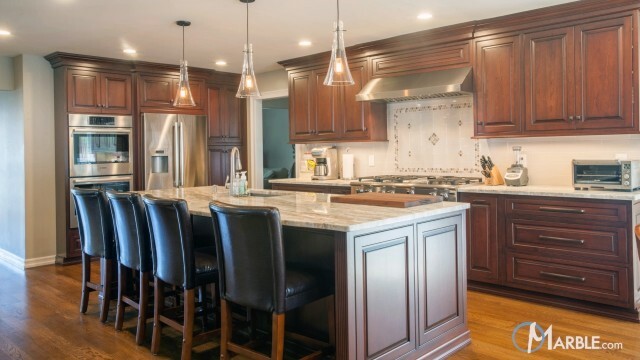 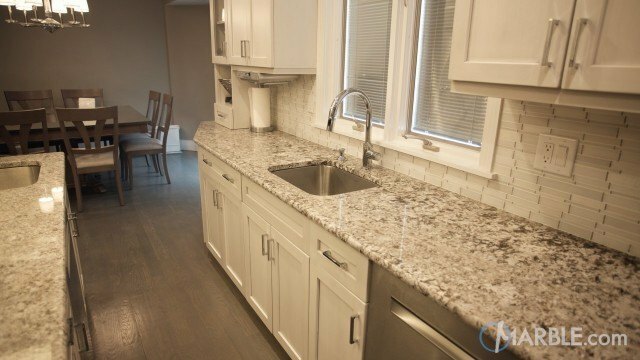 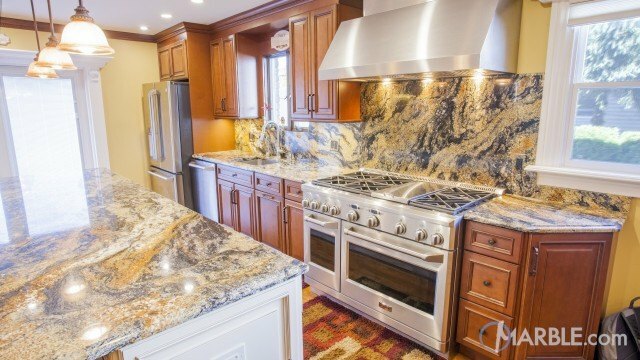 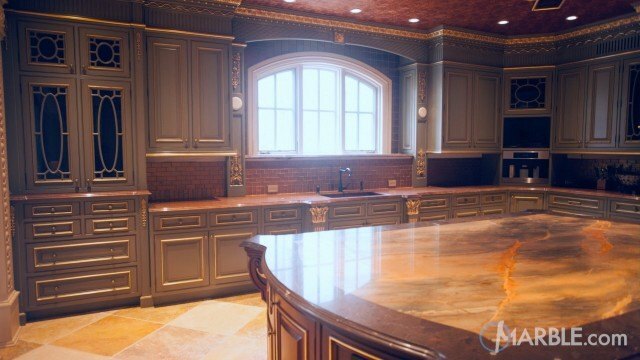 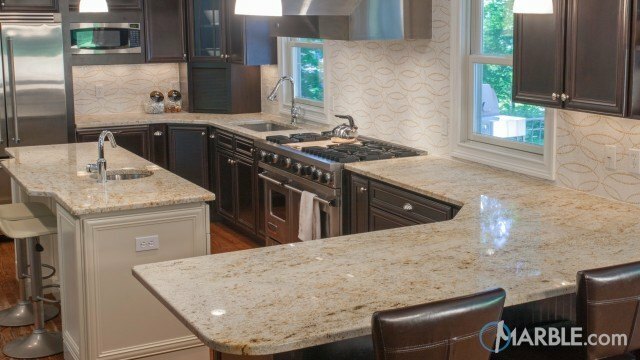 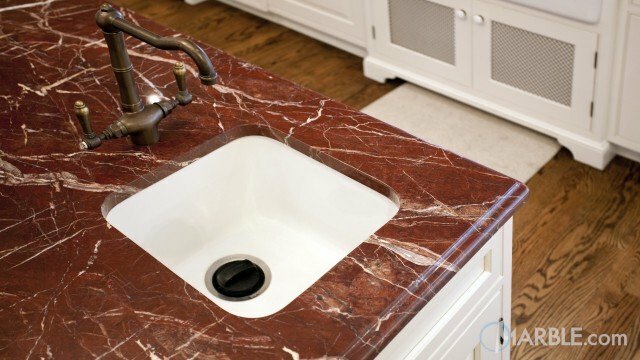 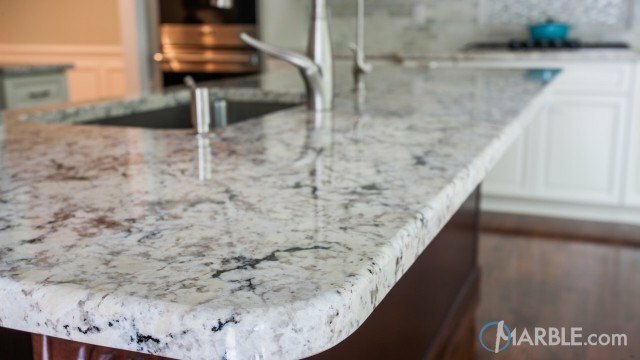 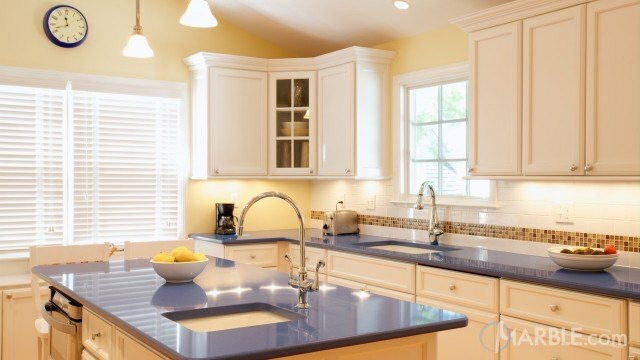 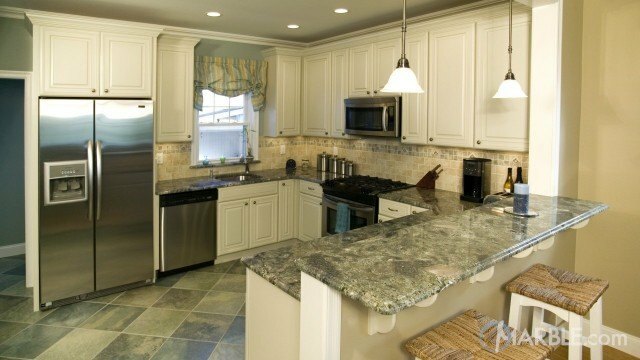 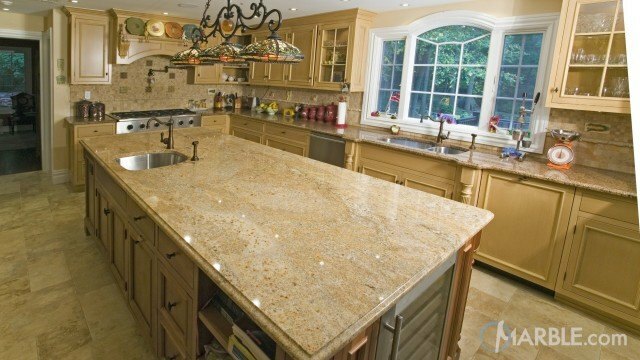 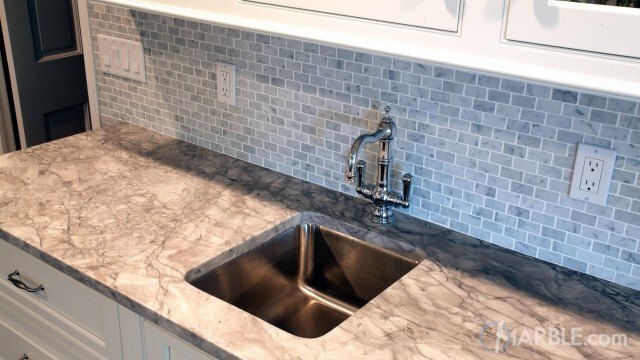 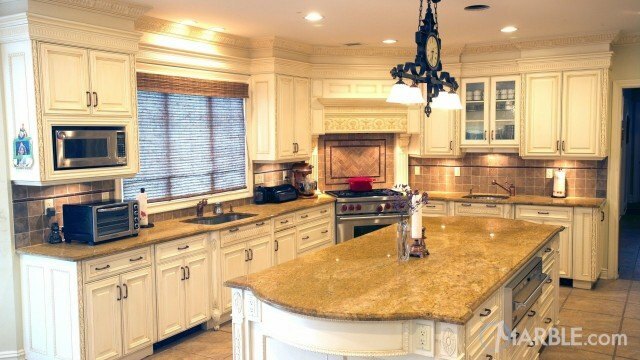 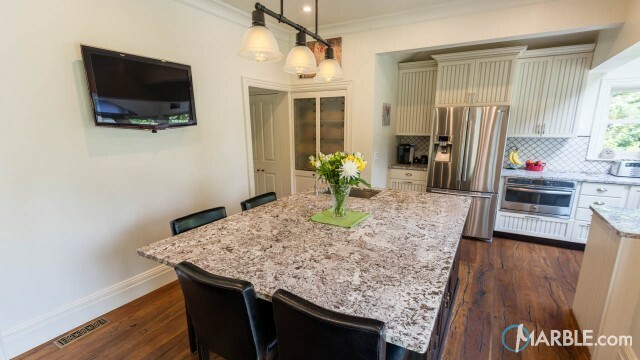 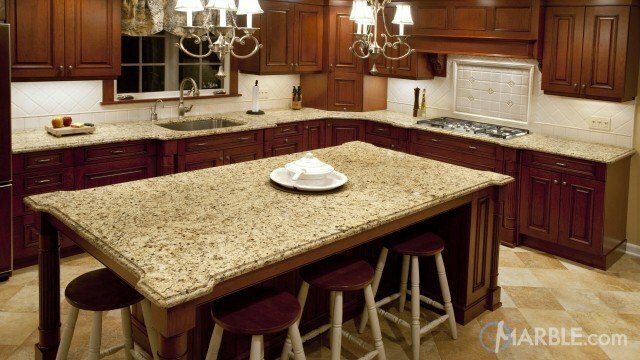 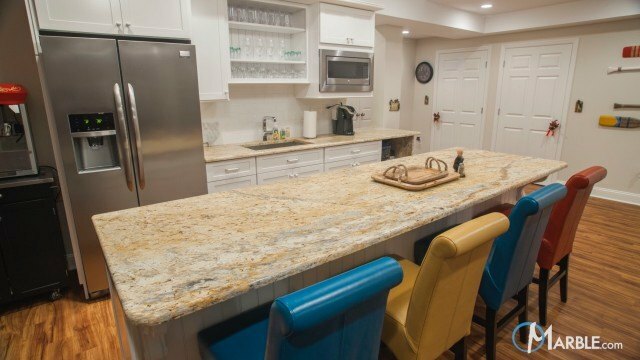 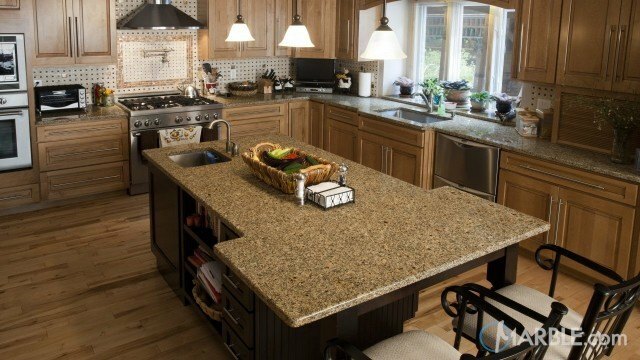 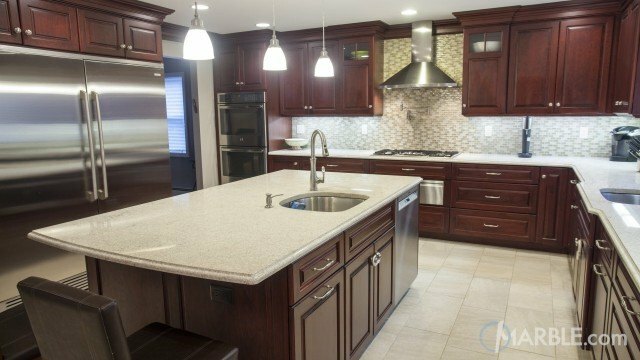 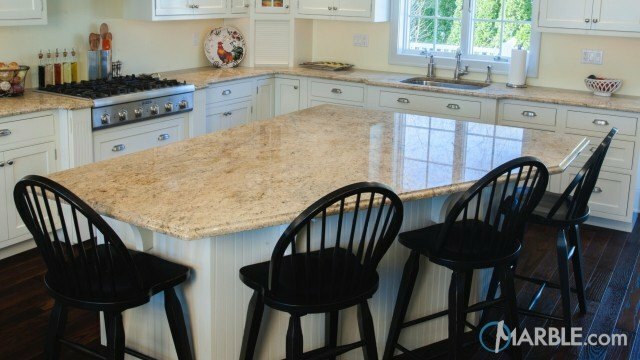 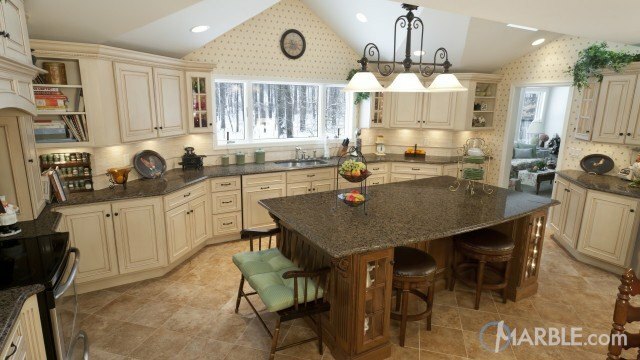 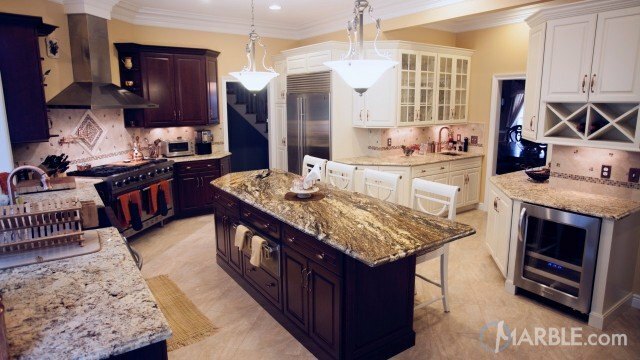 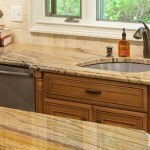 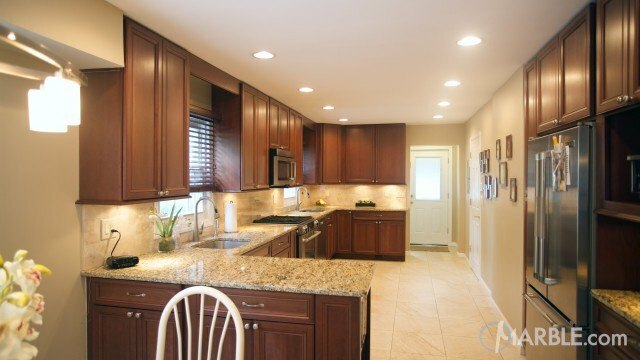 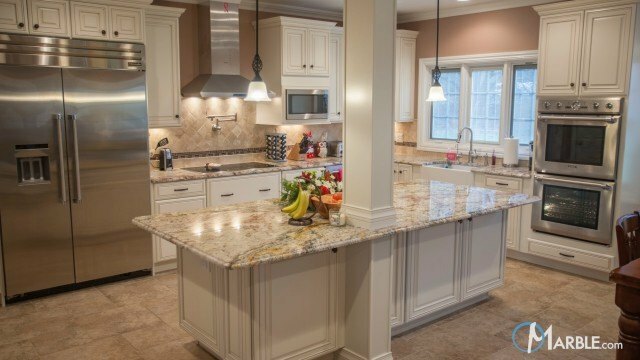 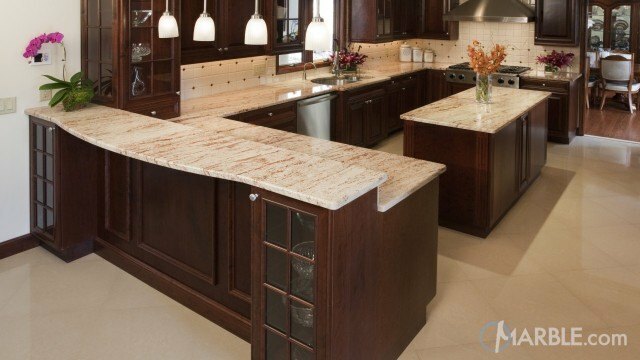 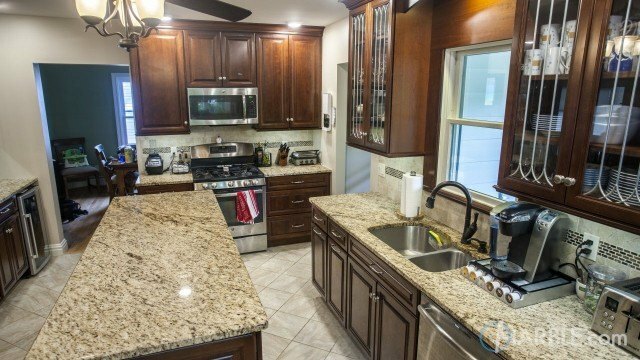 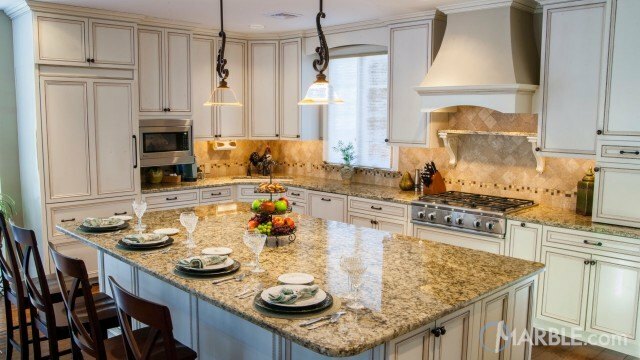 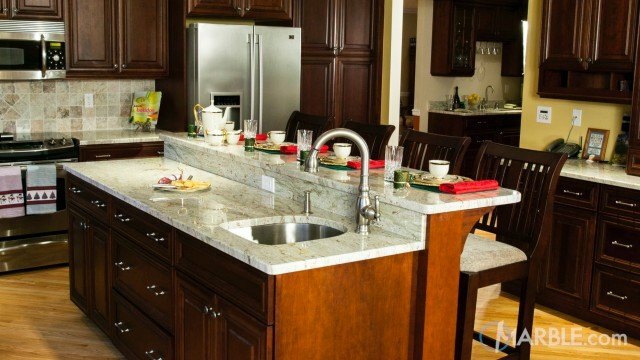 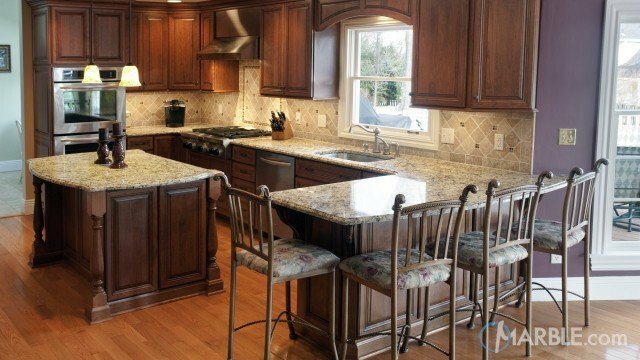 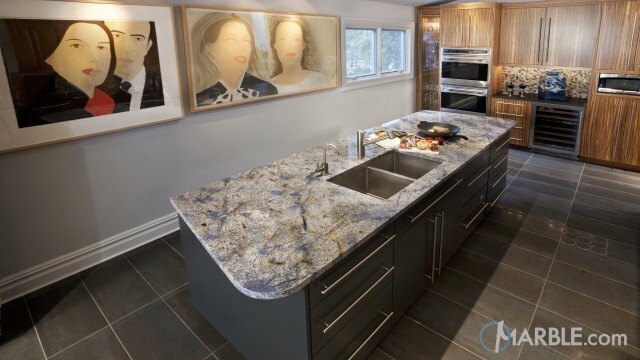 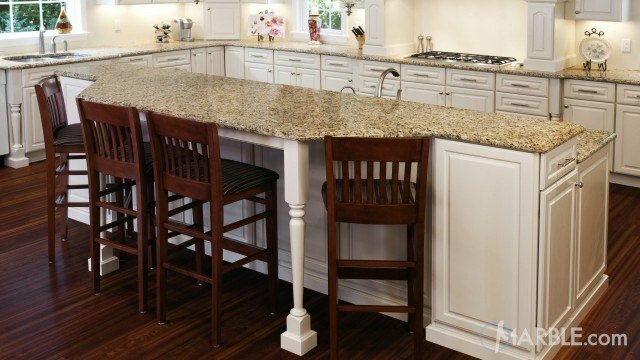 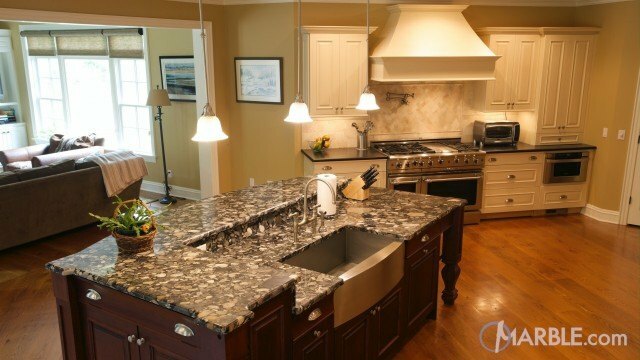 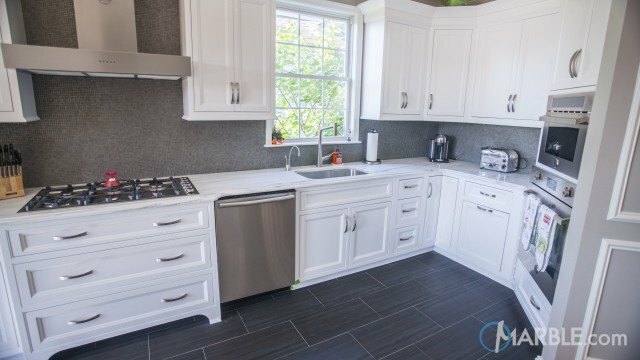 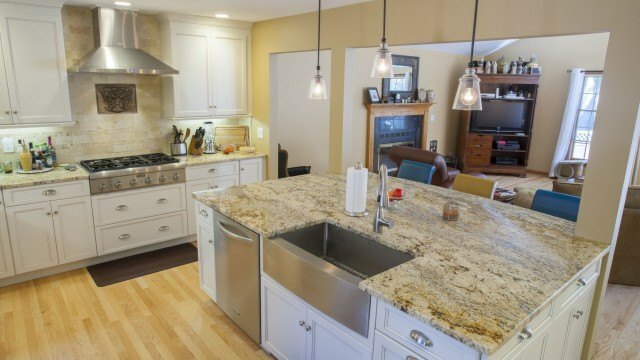 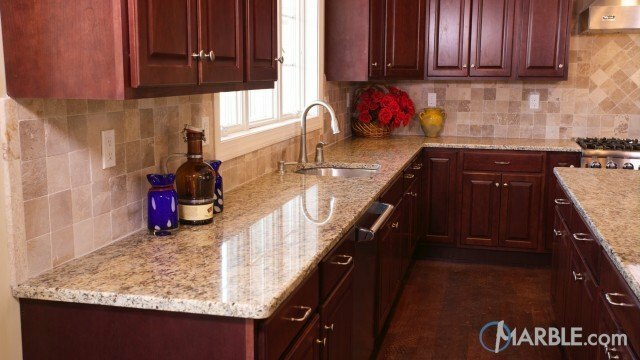 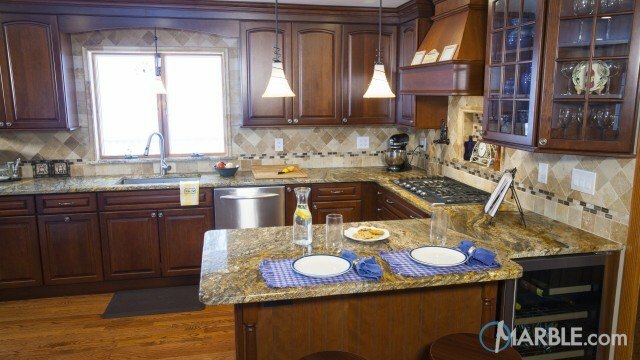 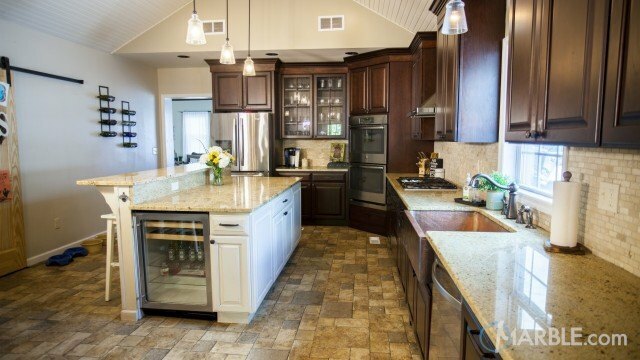 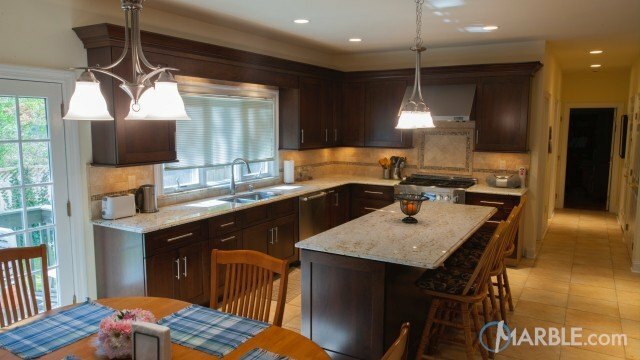 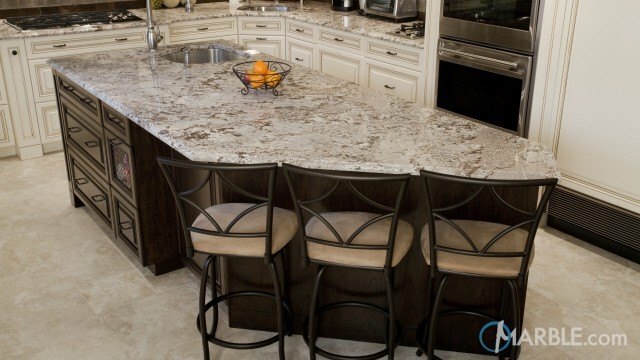 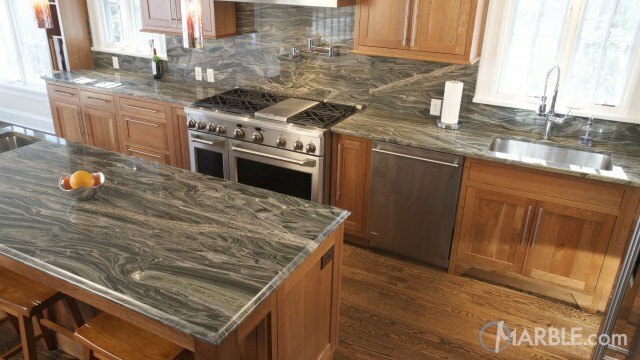 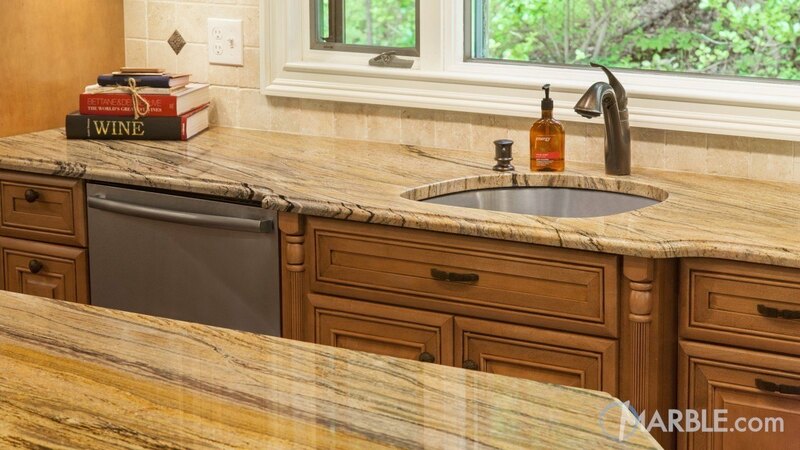 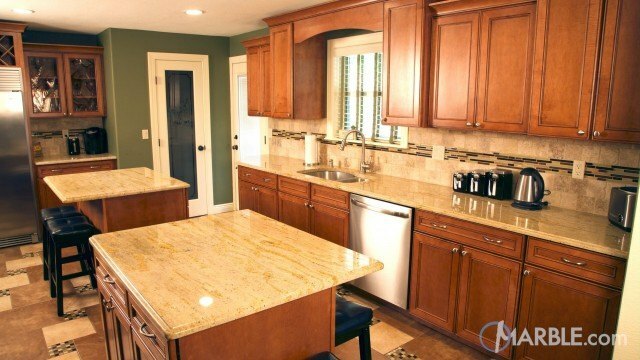 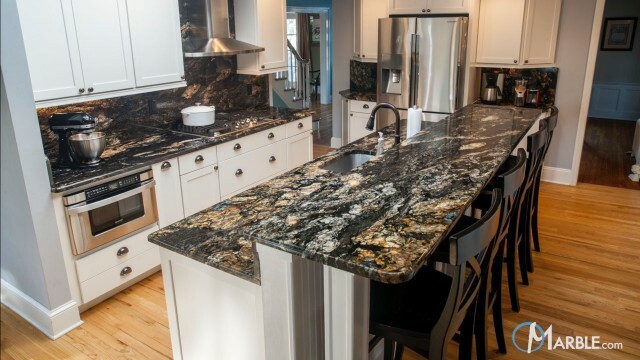 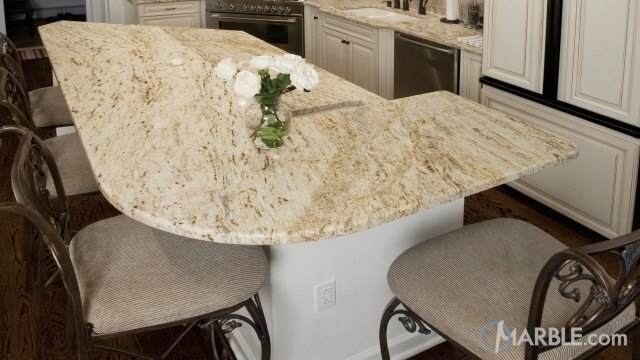 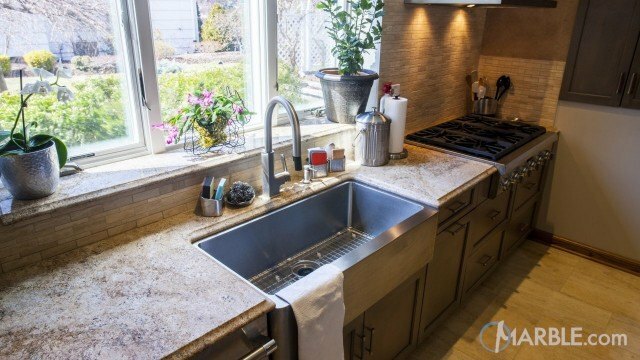 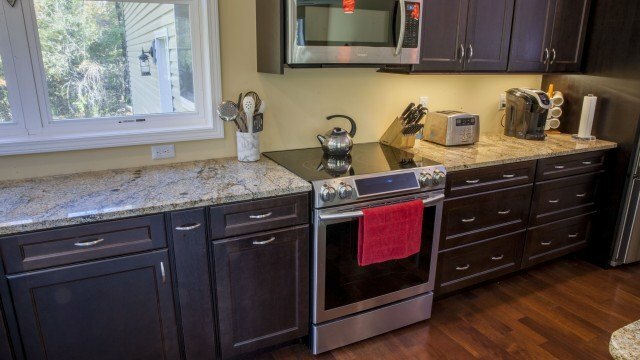 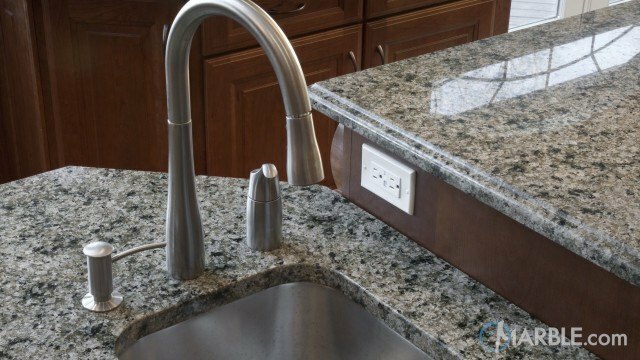 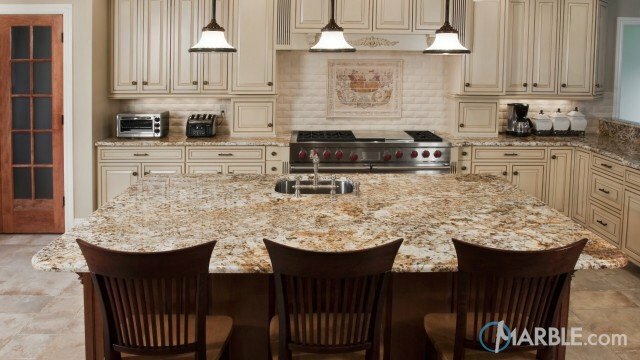 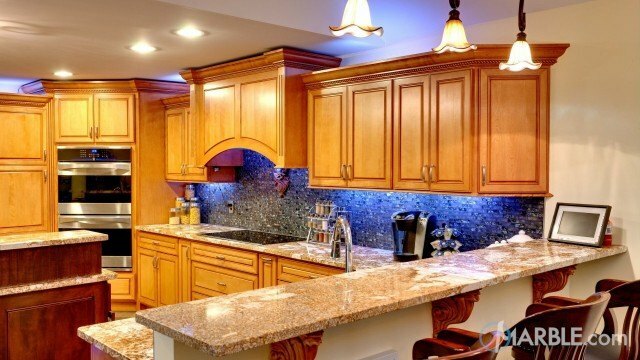 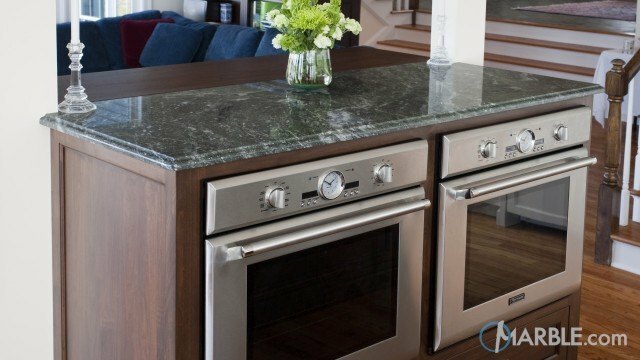 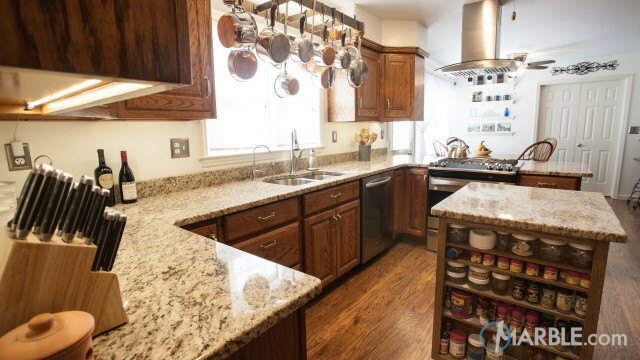 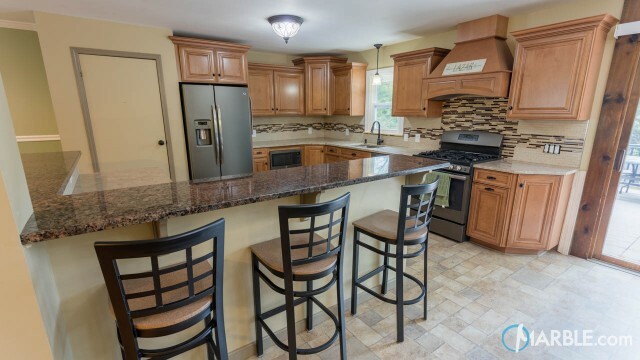 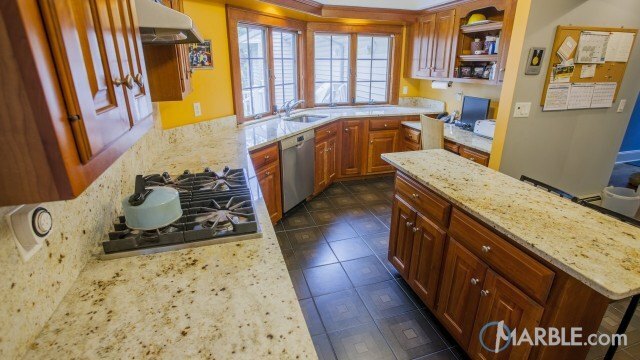 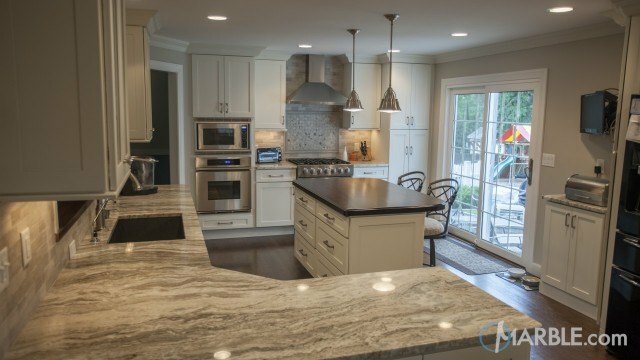 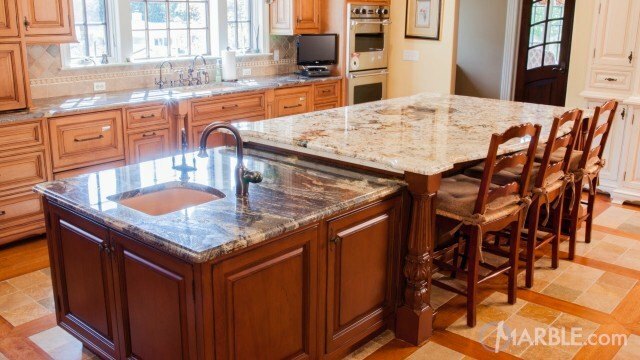 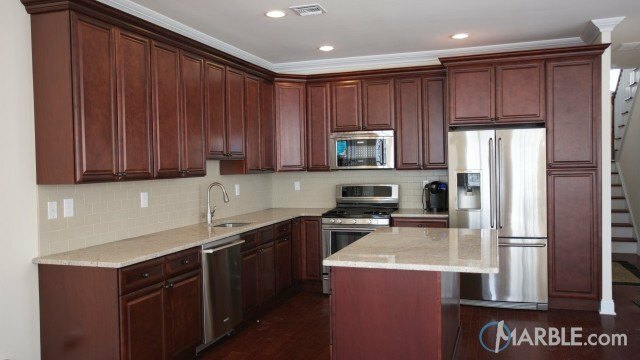 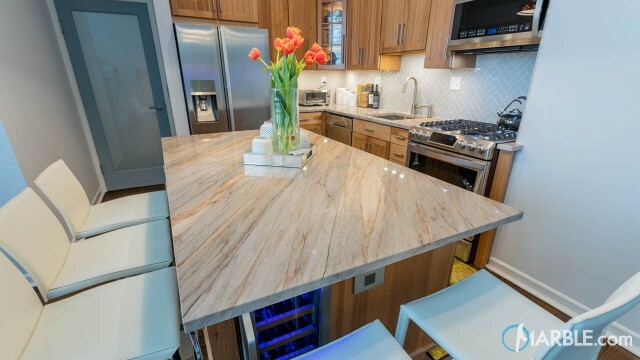 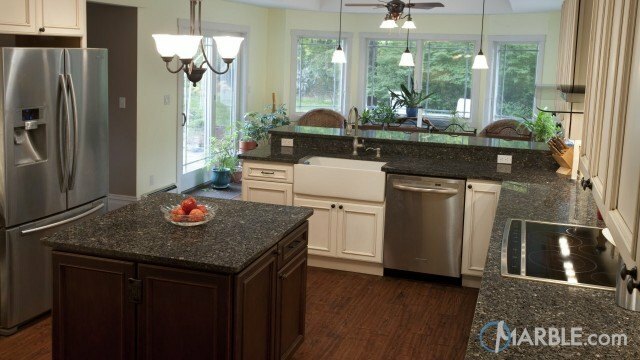 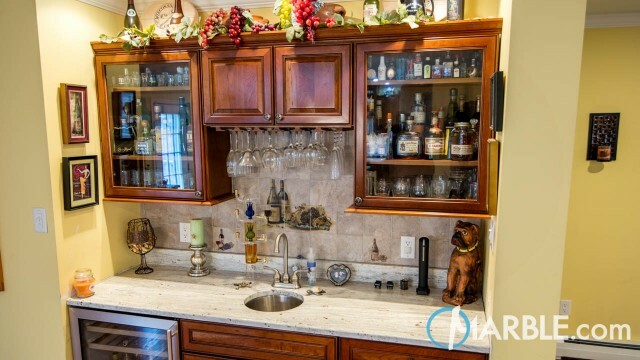 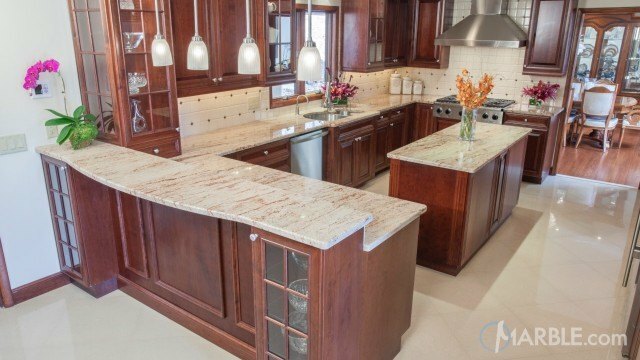 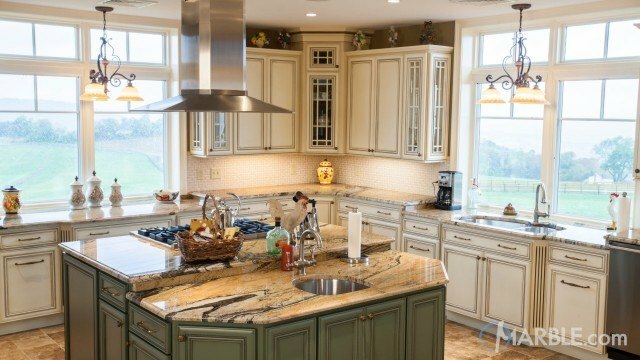 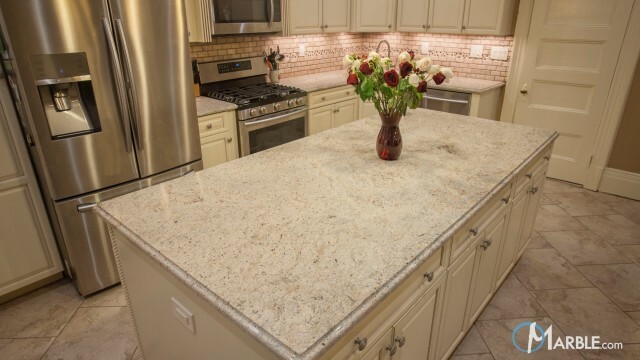 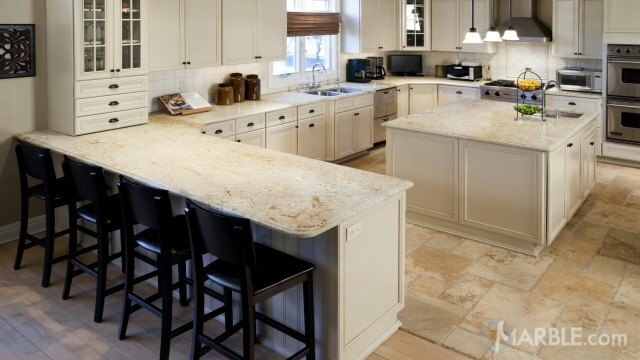 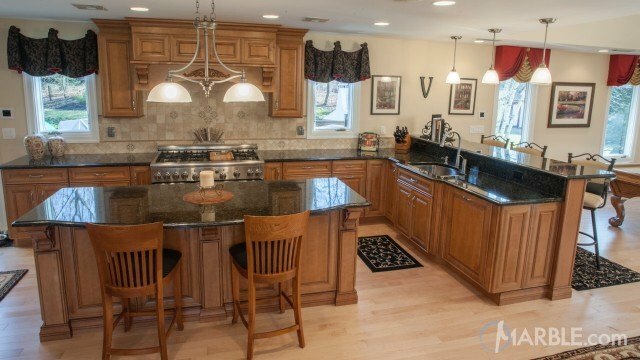 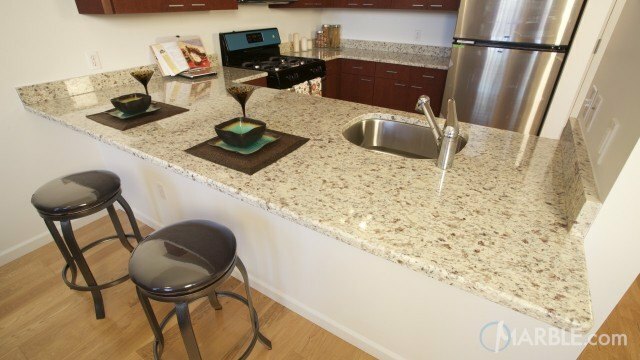 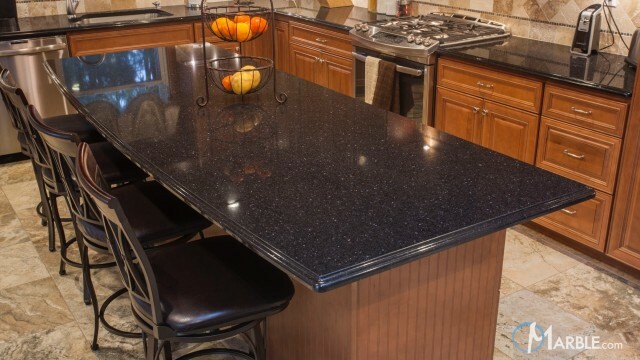 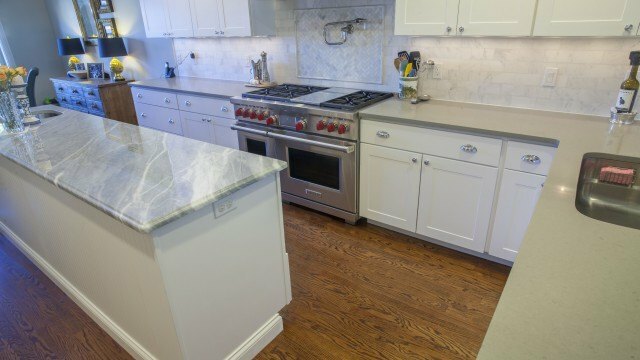 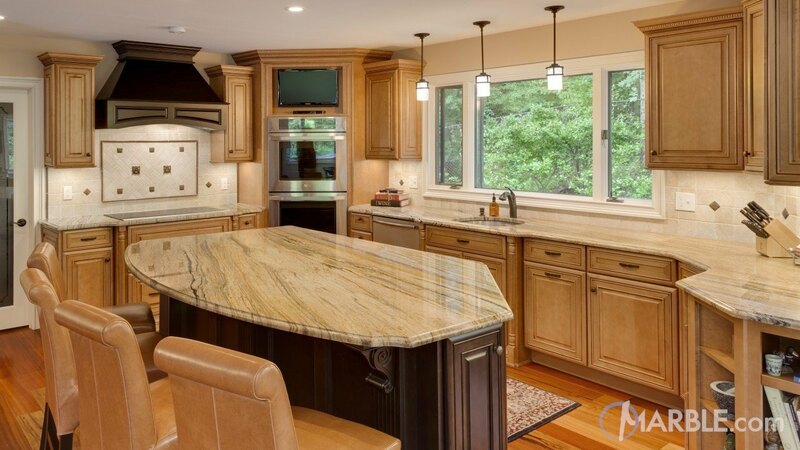 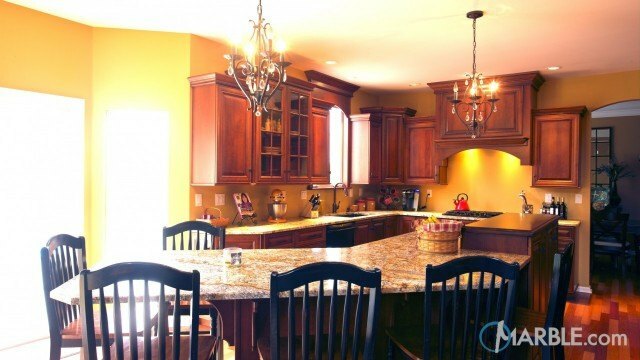 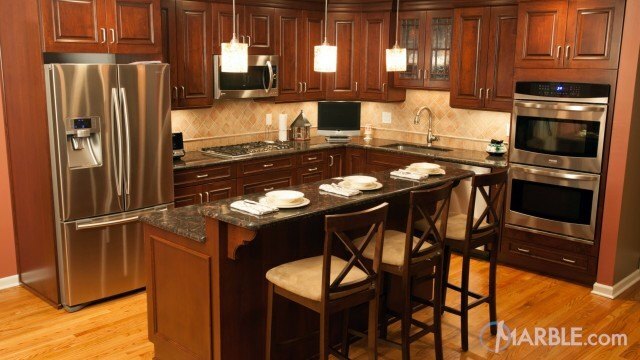 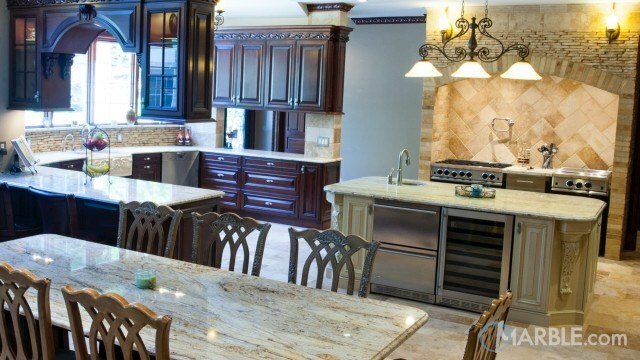 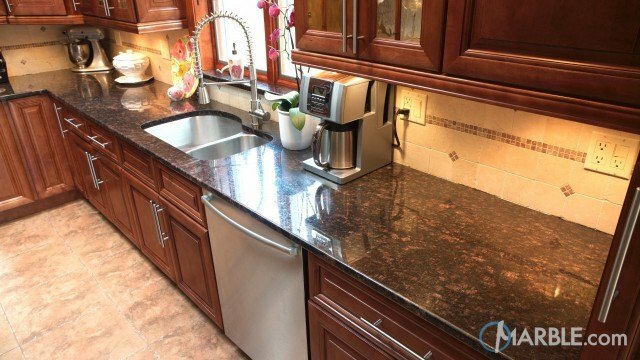 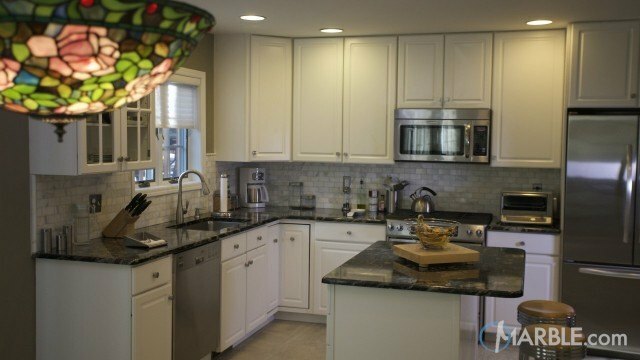 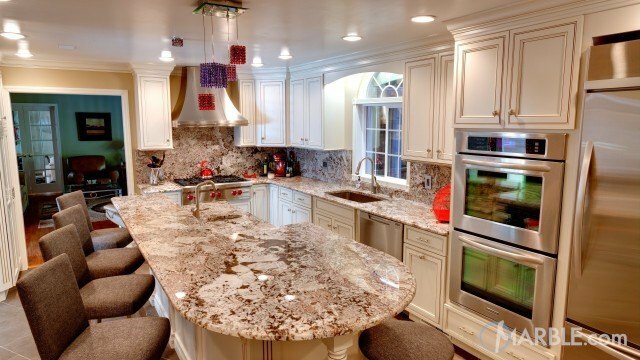 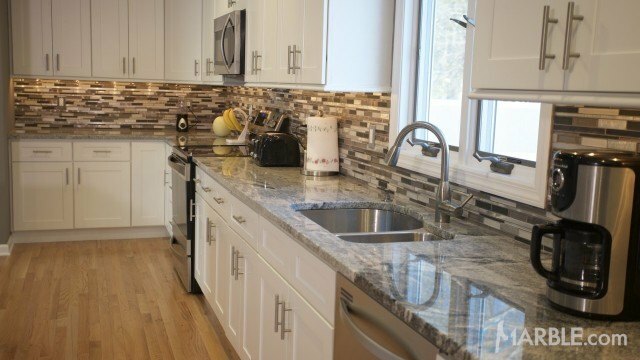 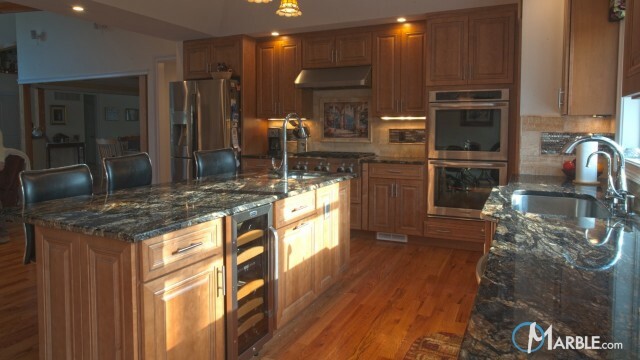 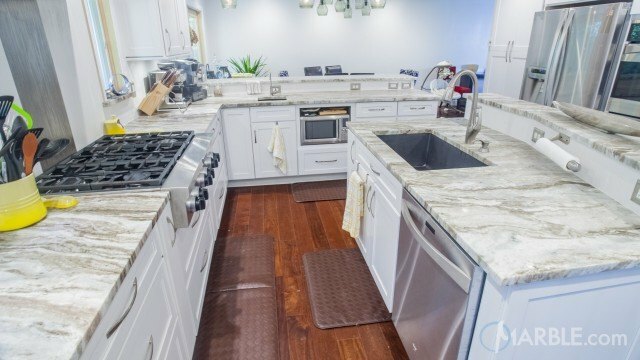 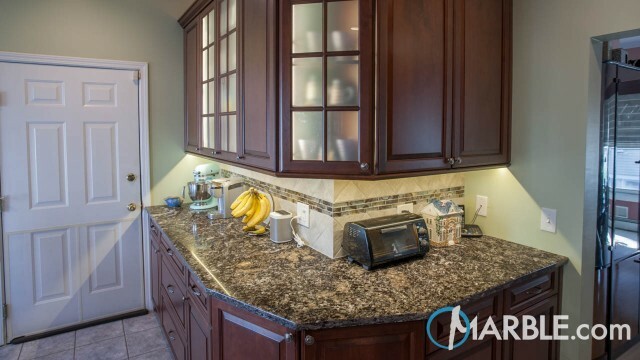 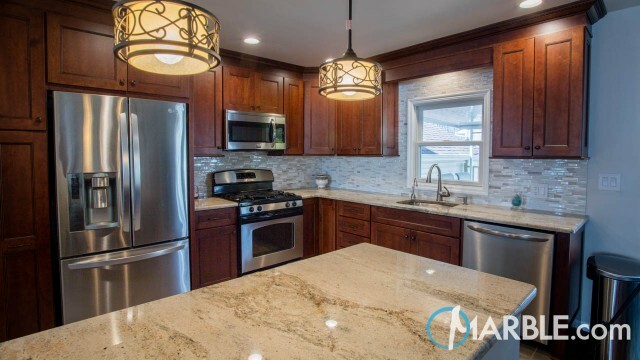 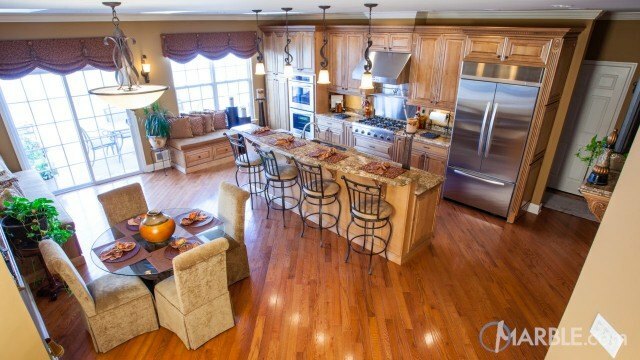 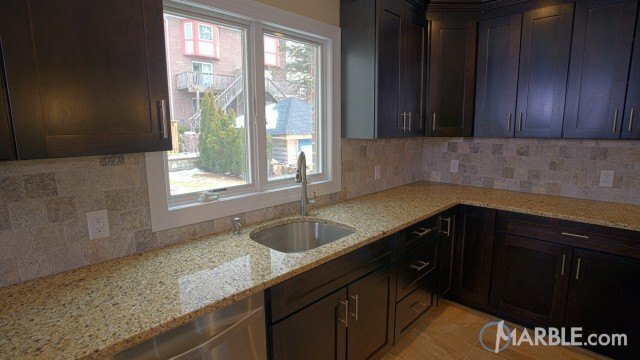 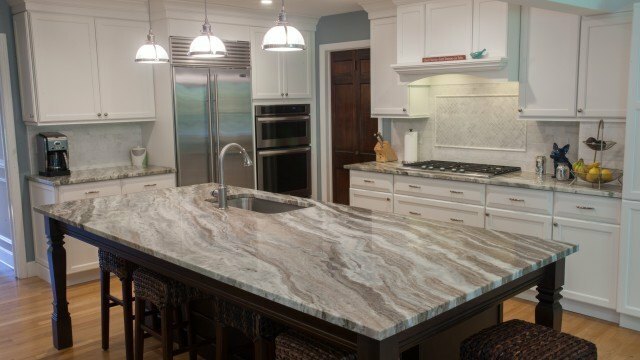 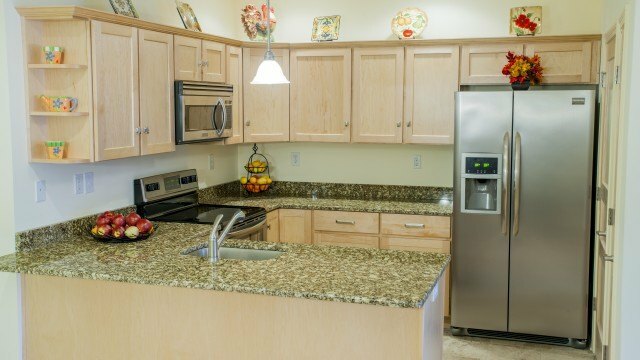 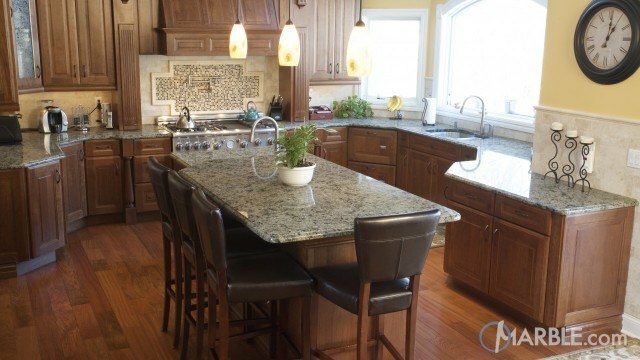 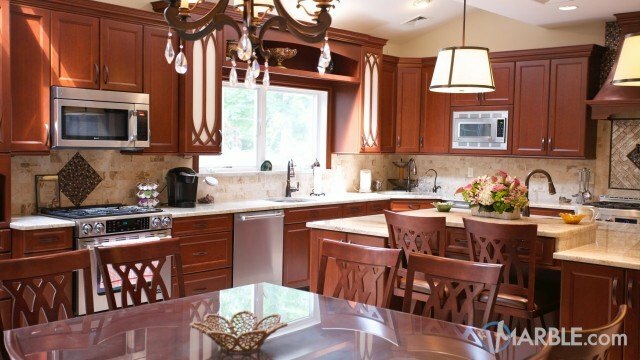 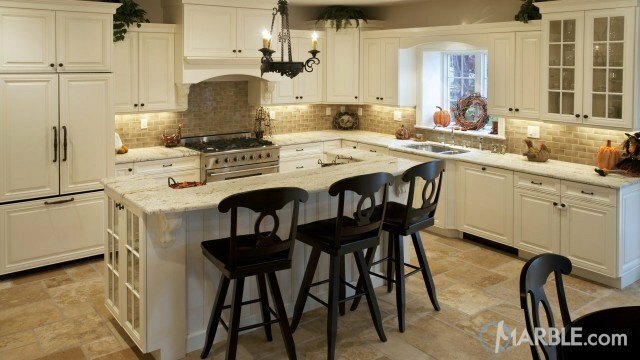 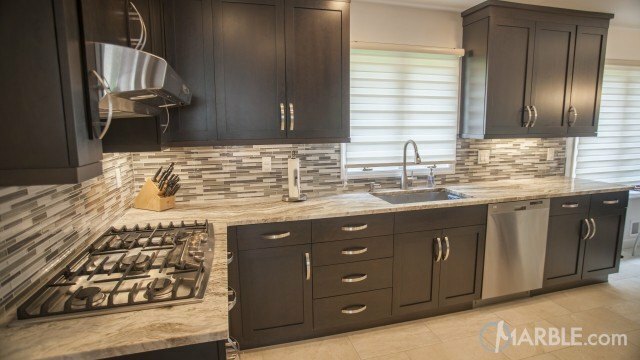 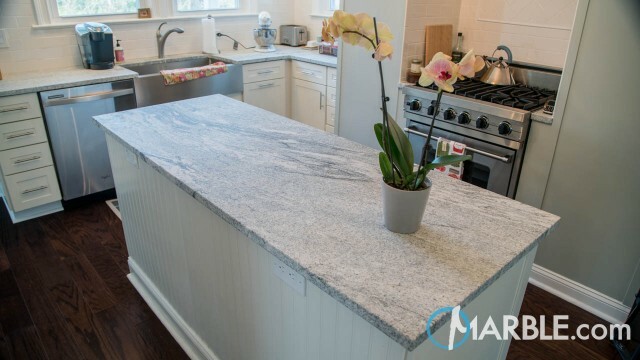 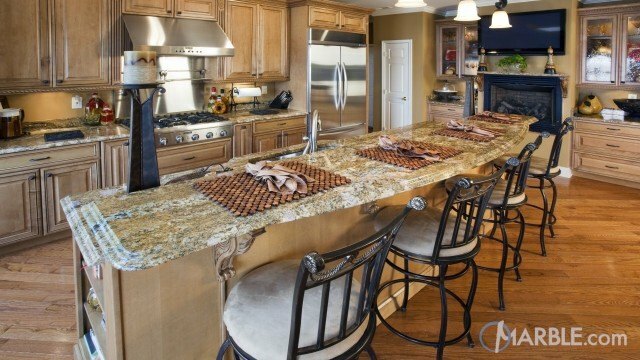 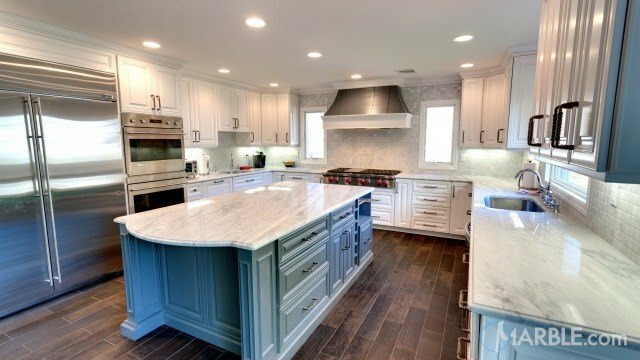 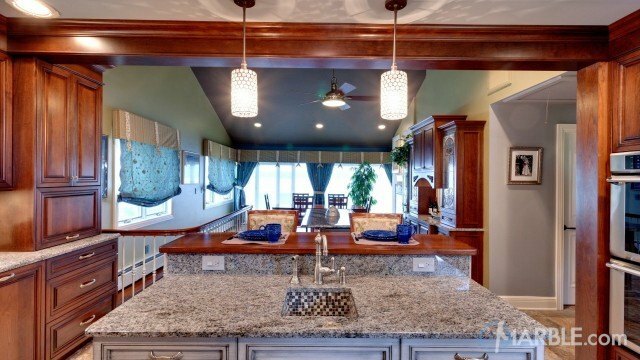 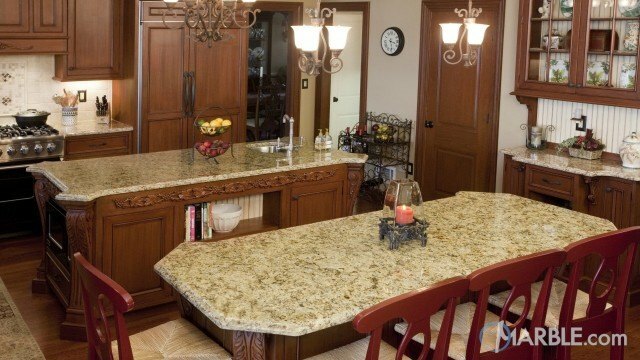 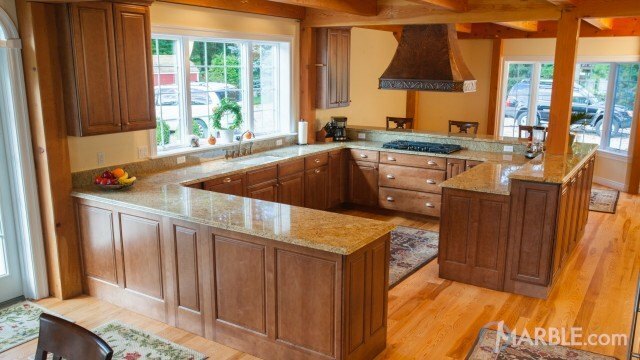 Peregrine C granite counter tops are finished with an Ogee Edge and installed on high-quality wood cabinets. 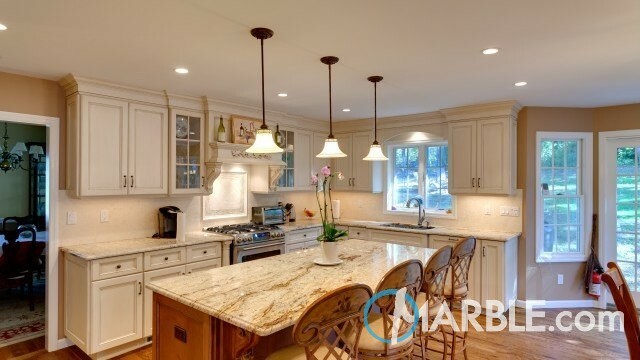 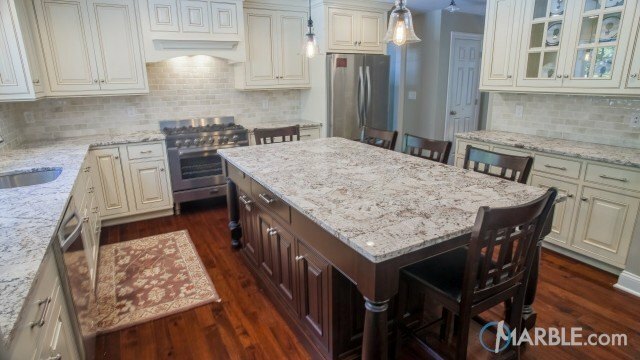 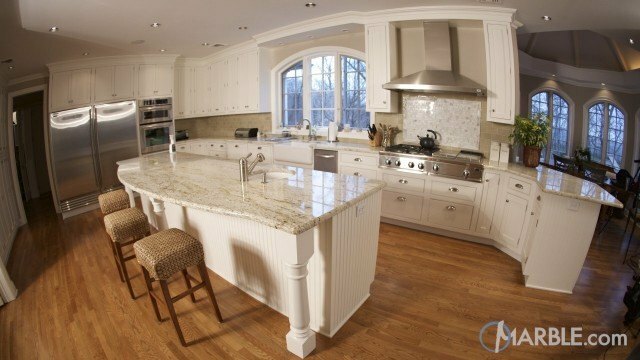 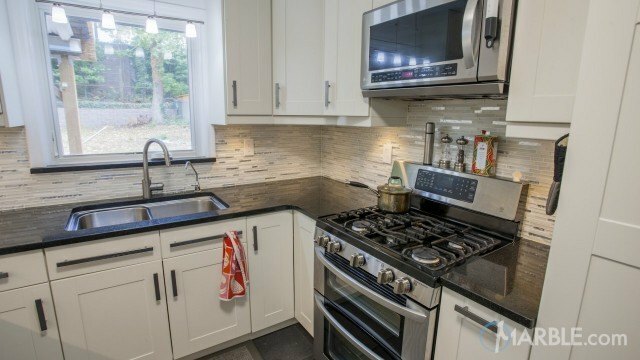 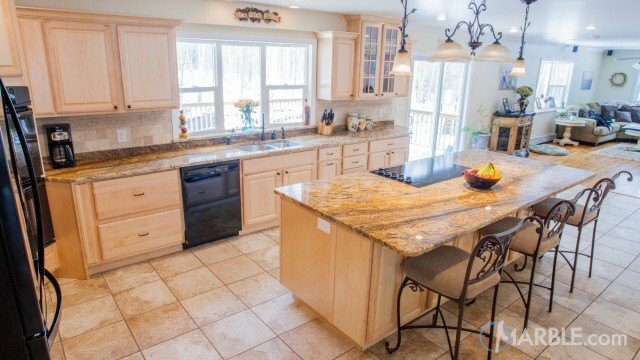 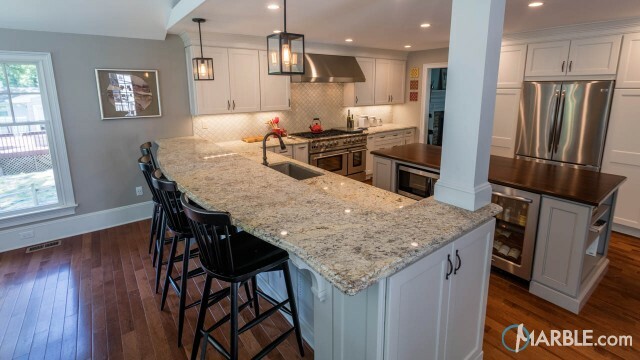 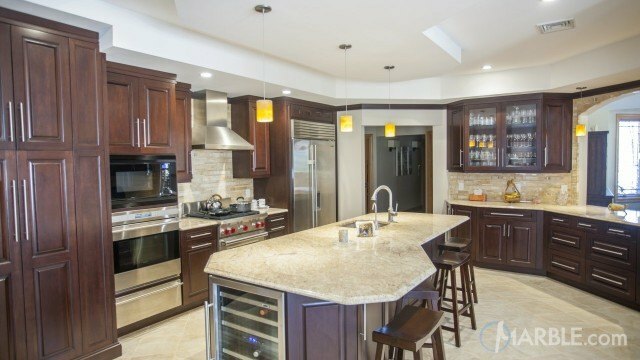 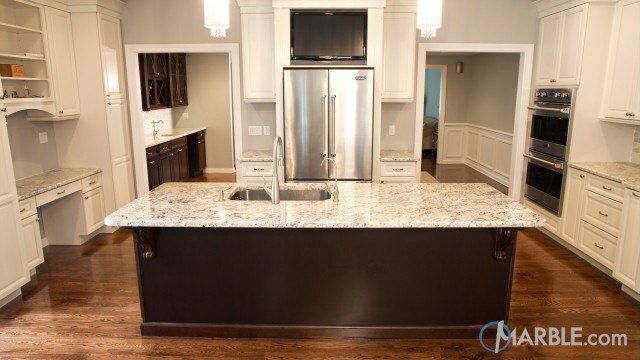 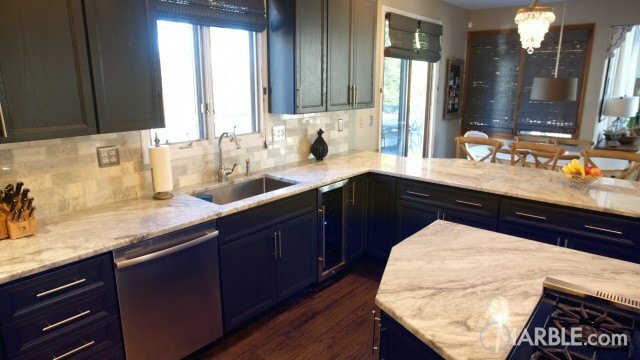 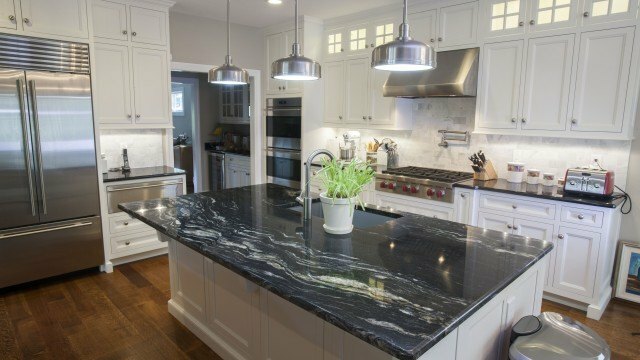 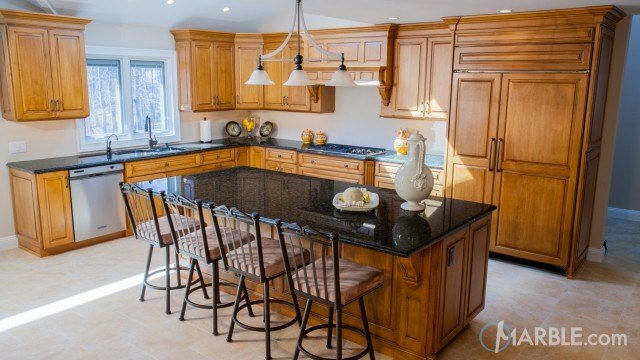 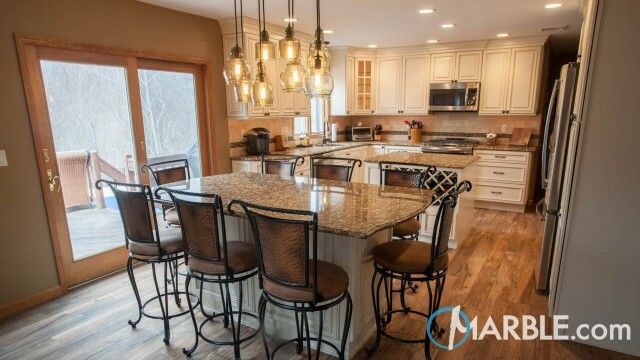 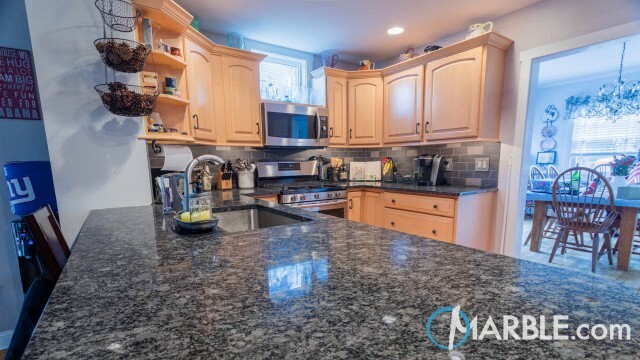 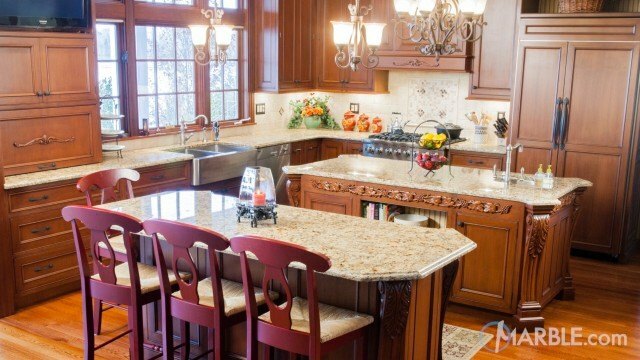 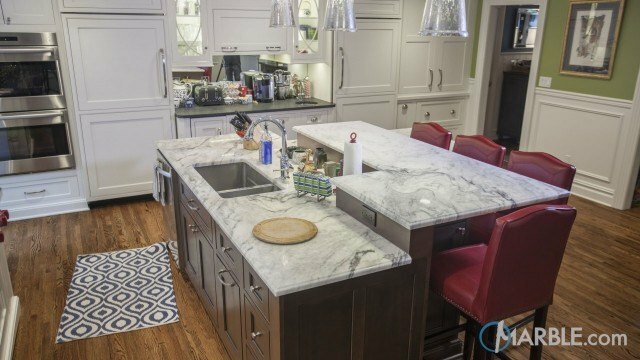 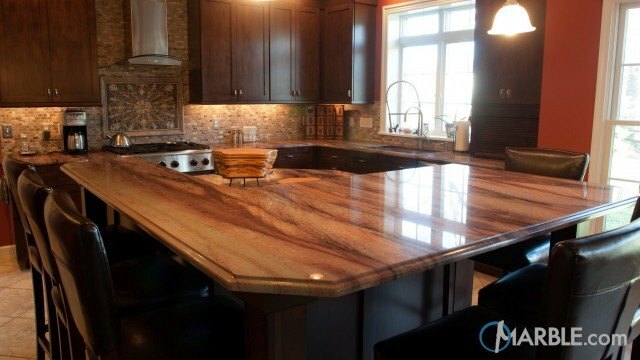 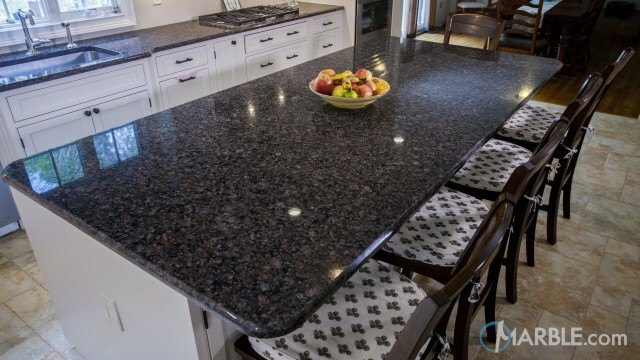 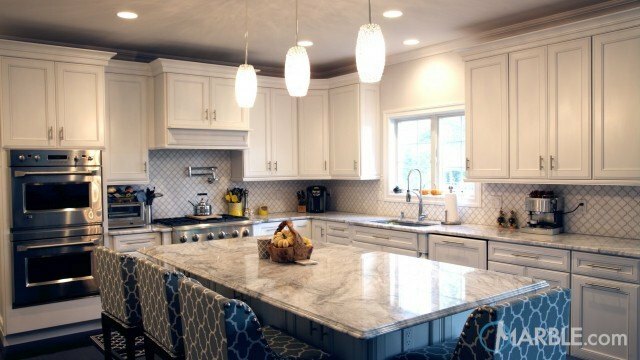 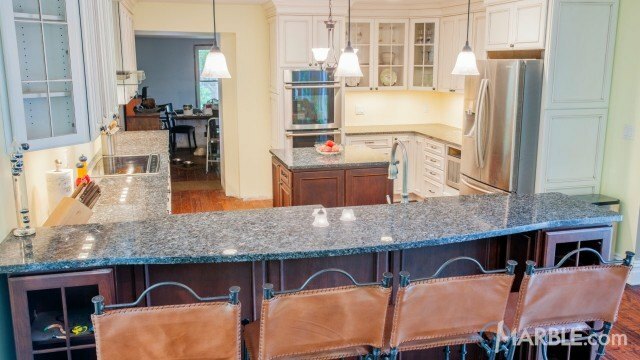 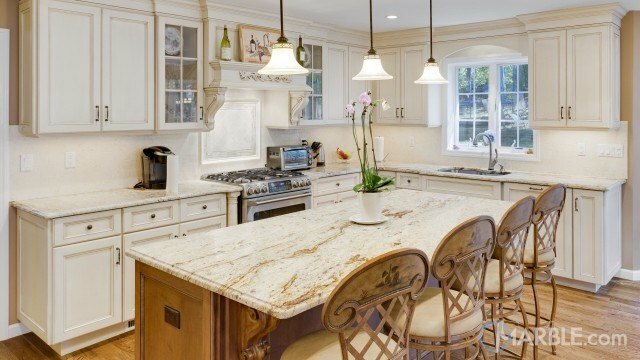 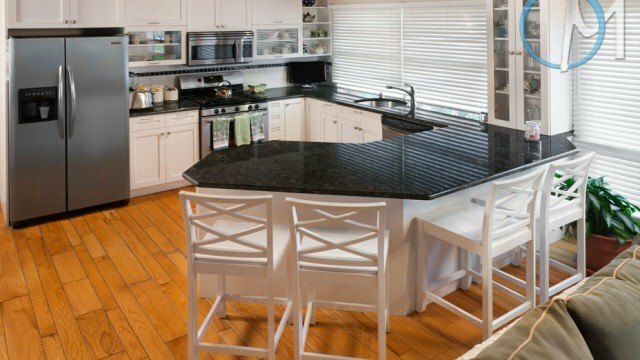 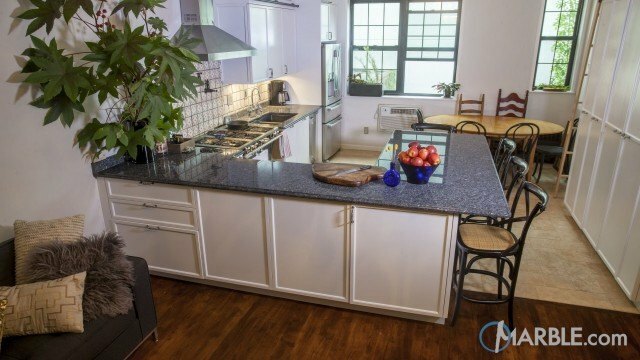 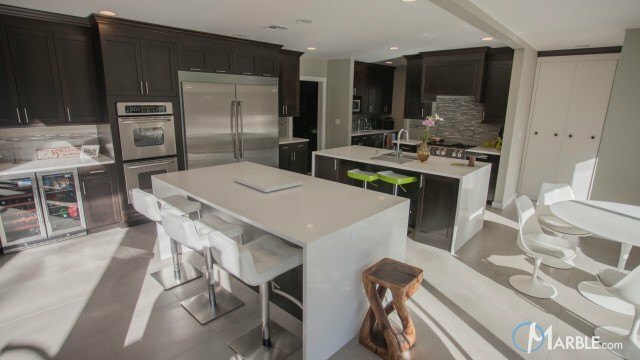 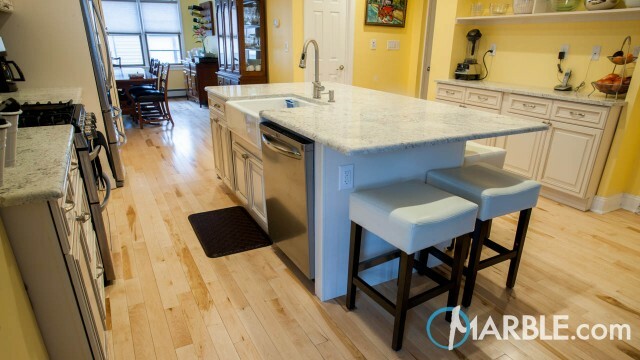 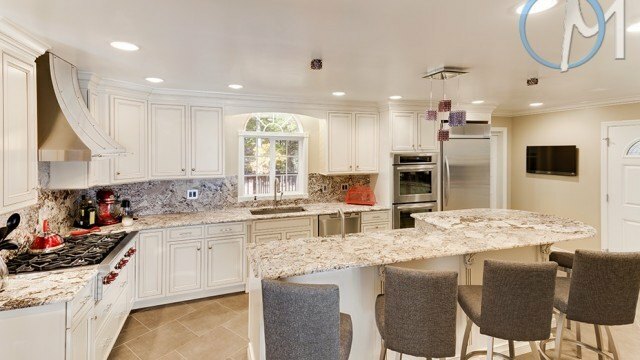 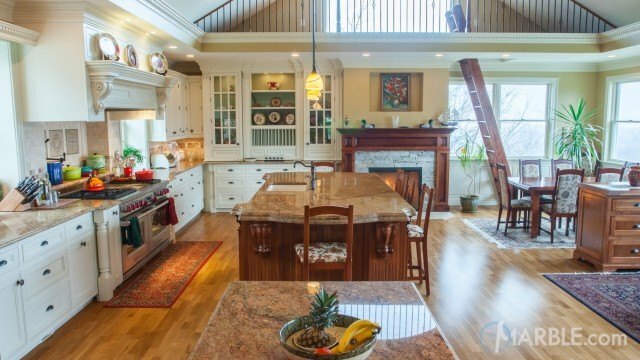 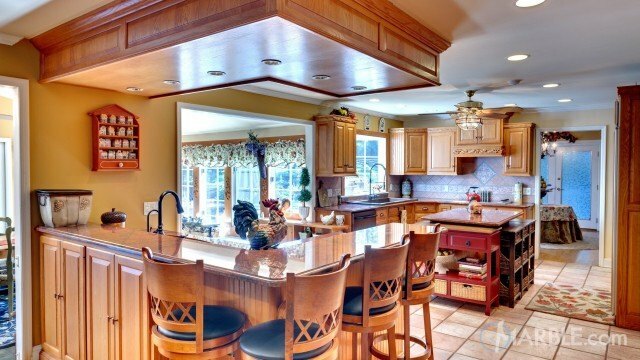 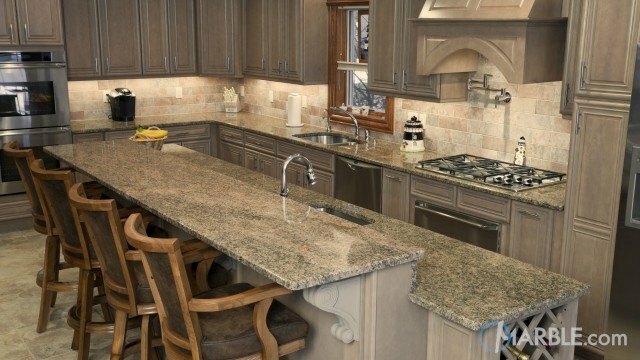 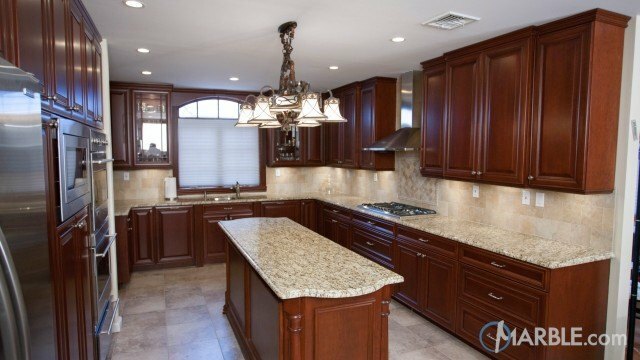 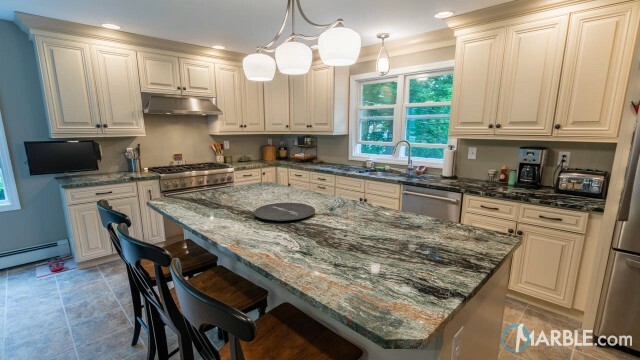 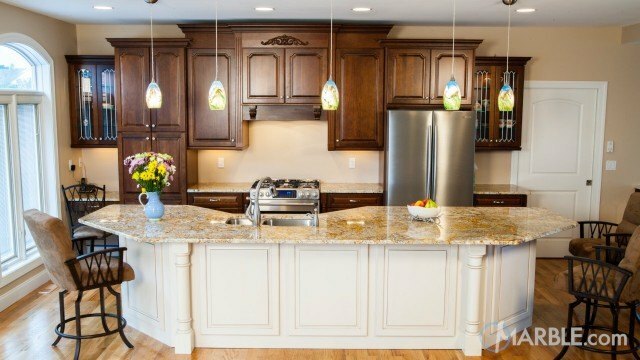 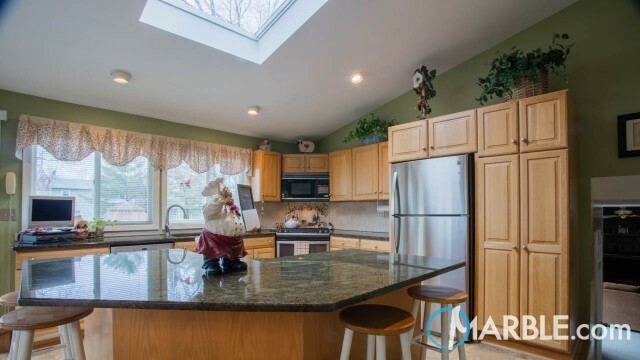 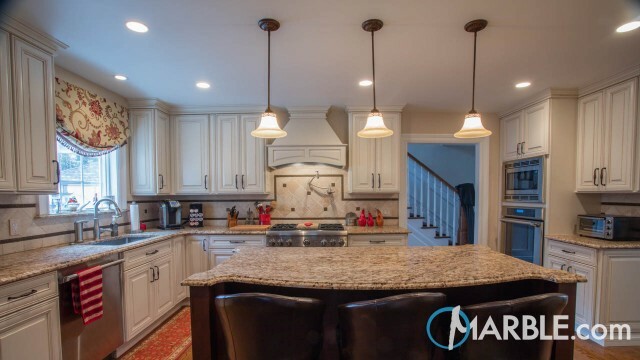 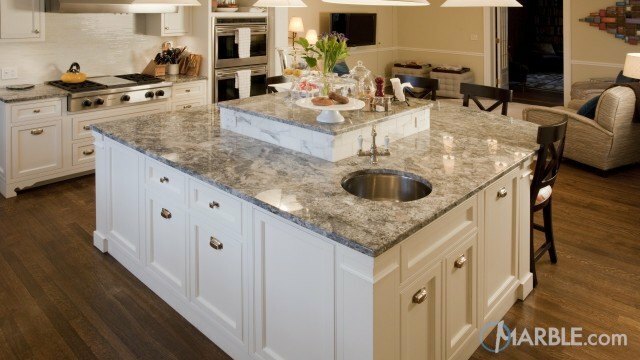 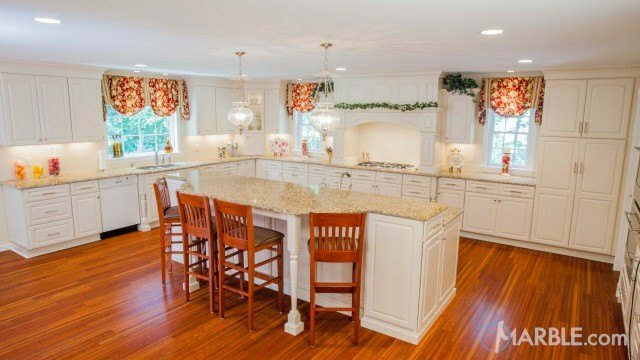 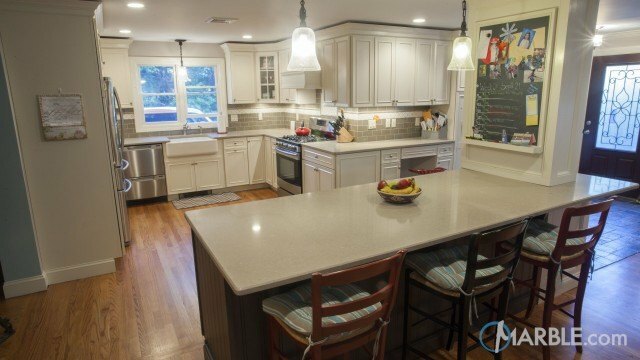 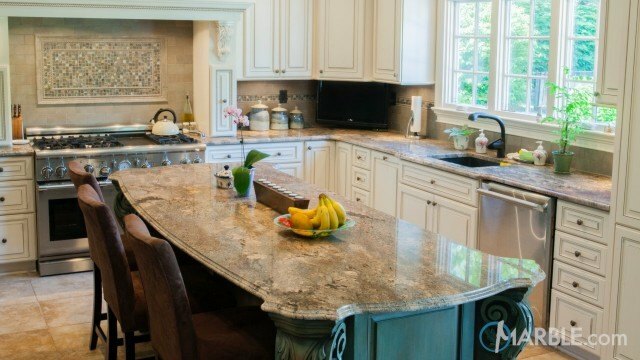 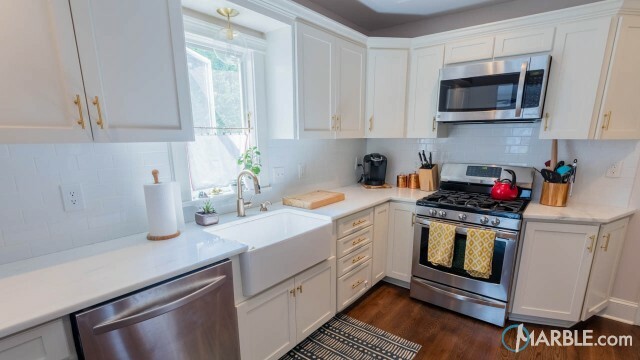 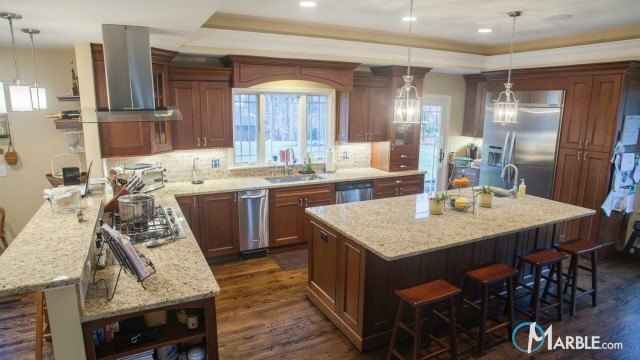 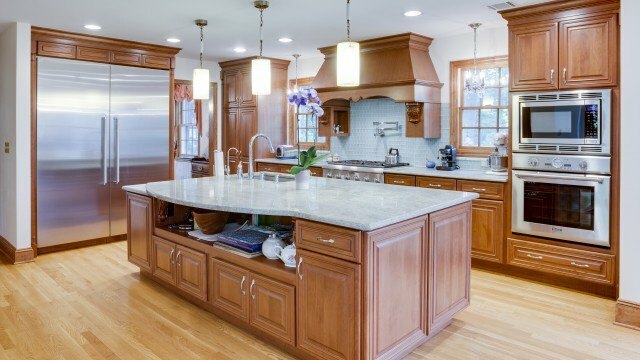 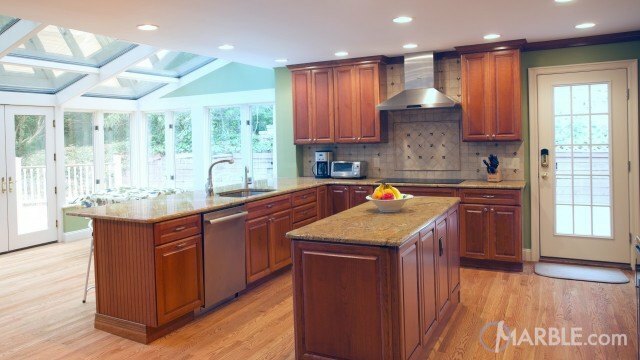 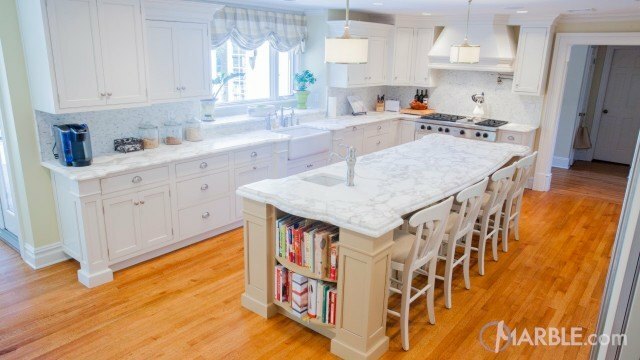 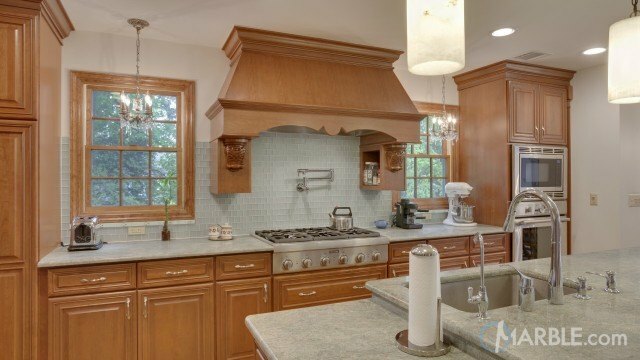 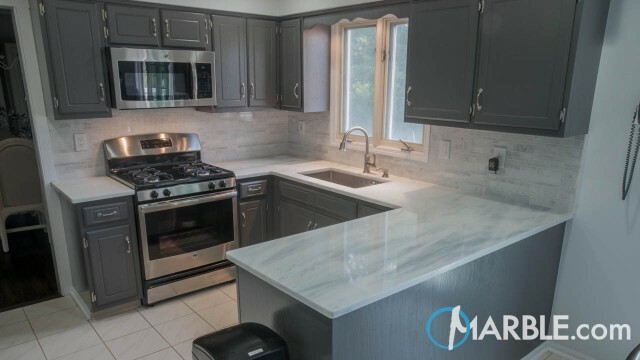 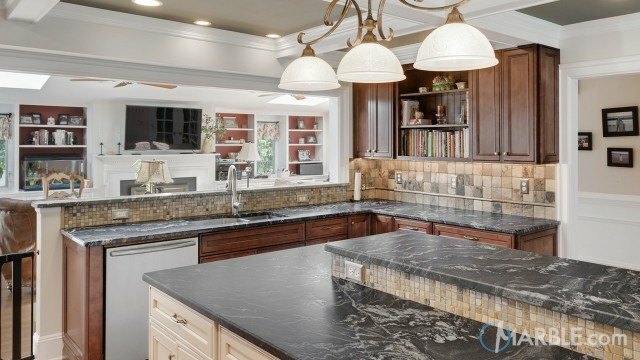 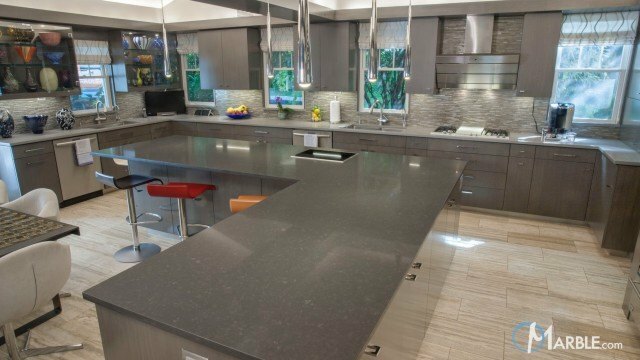 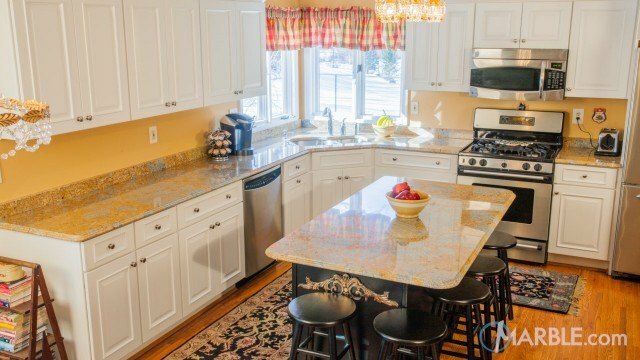 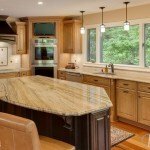 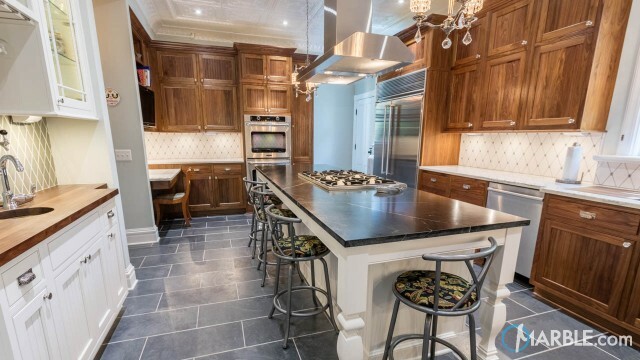 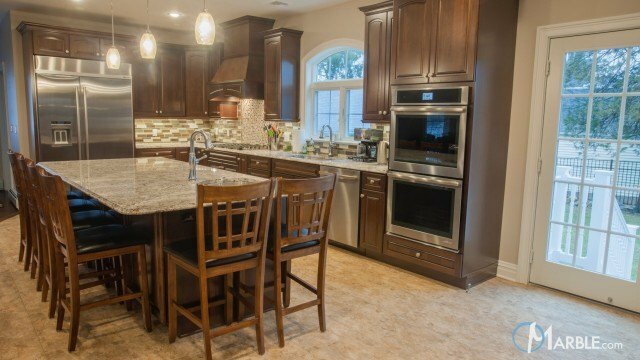 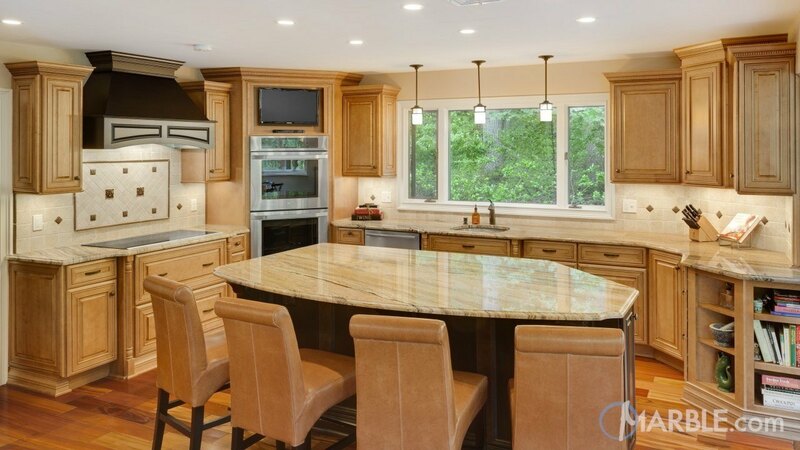 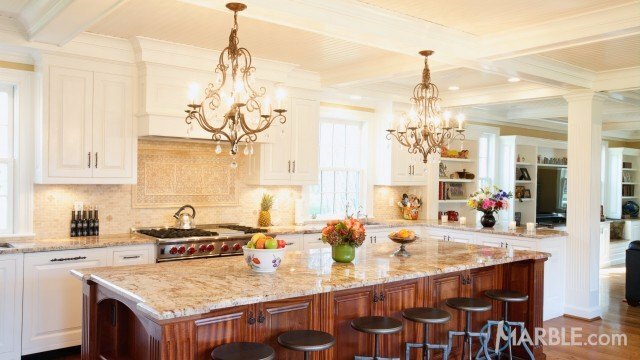 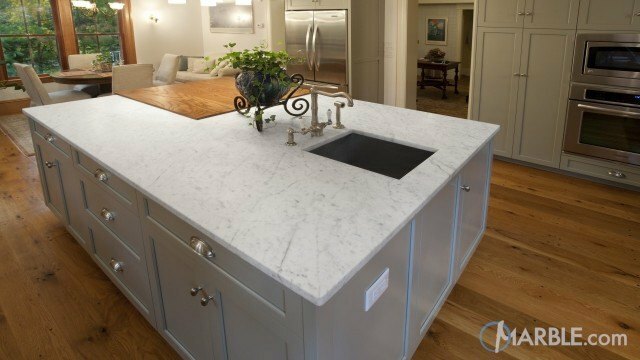 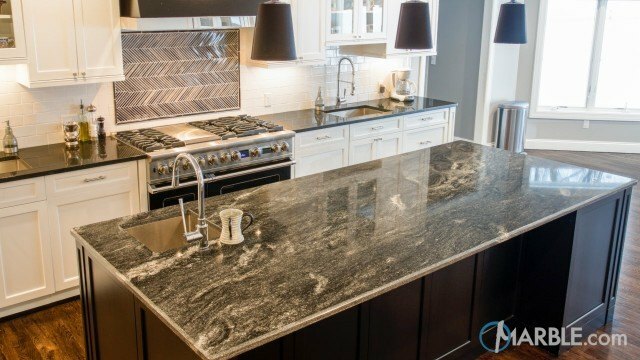 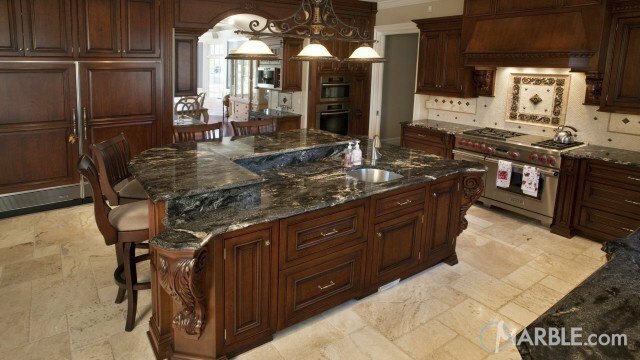 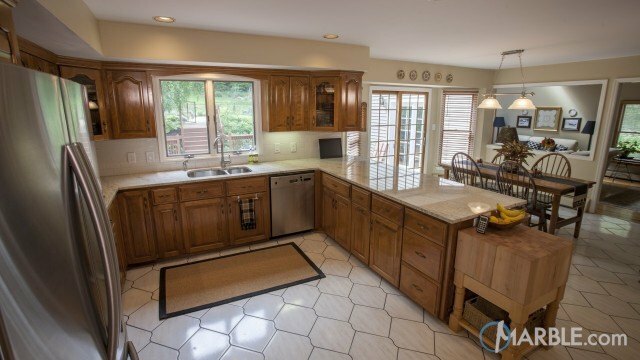 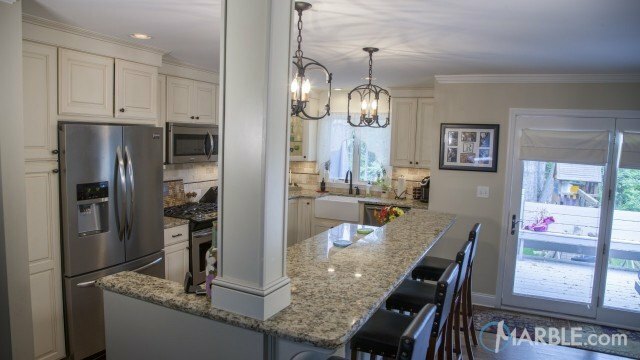 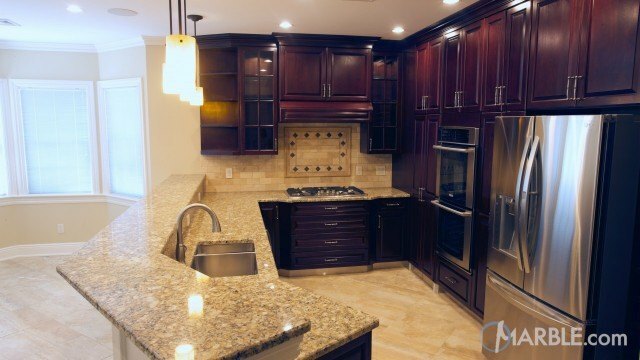 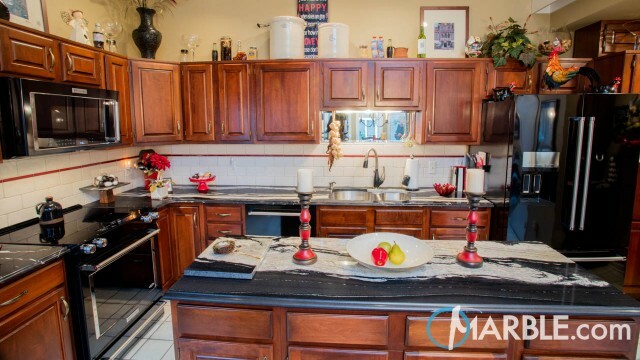 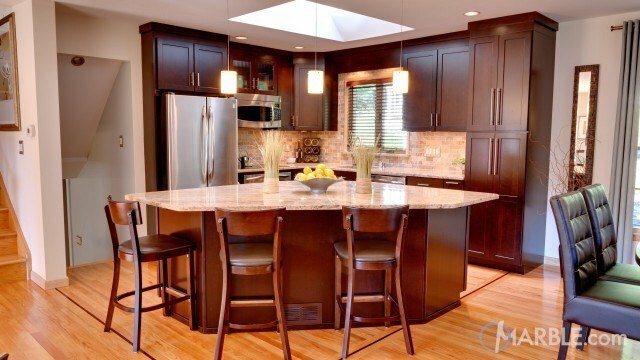 The dark wood island in the middle of the kitchen has an elegant piece of granite that is seamless and absolutely stunning. 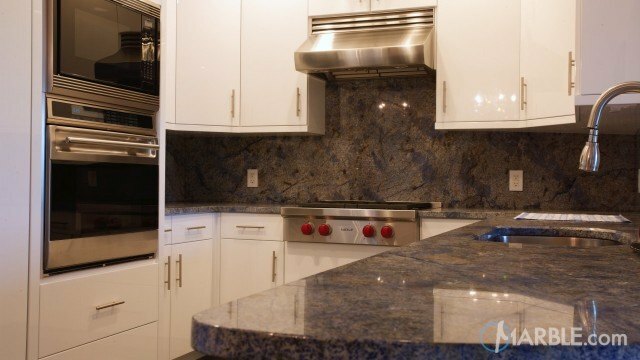 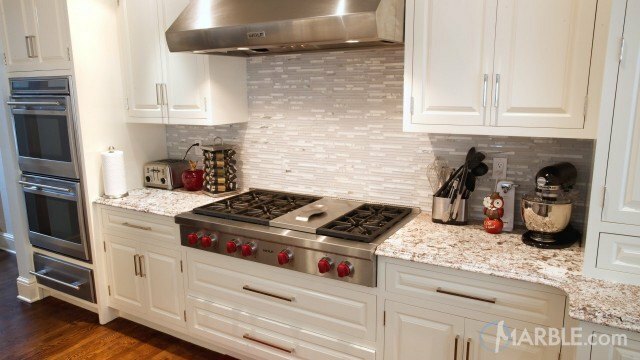 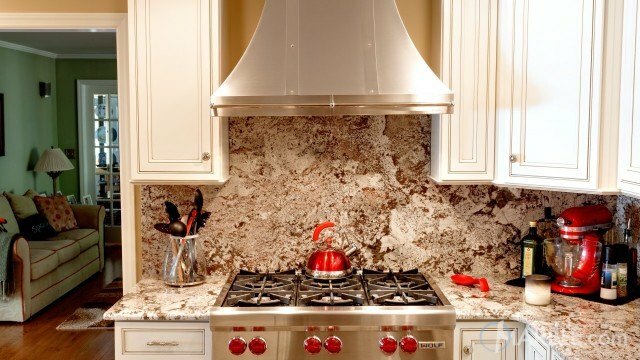 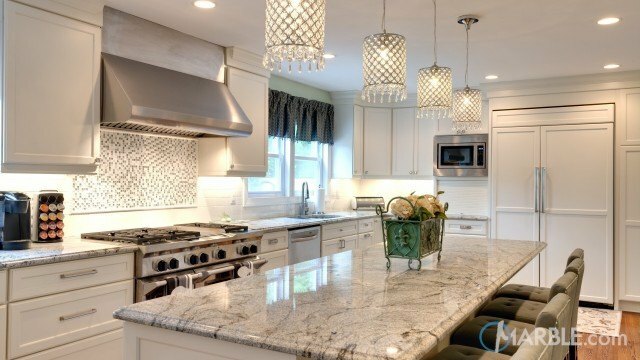 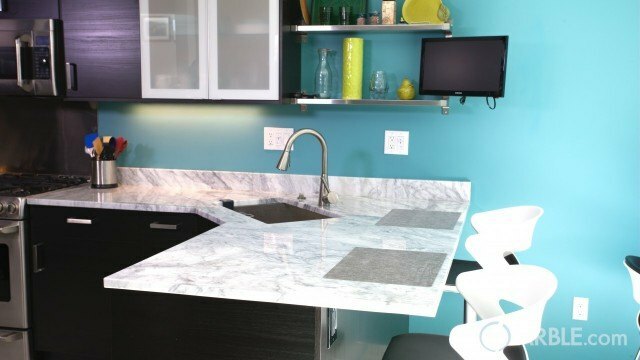 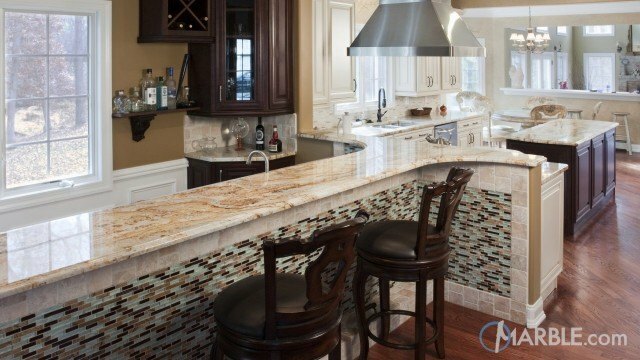 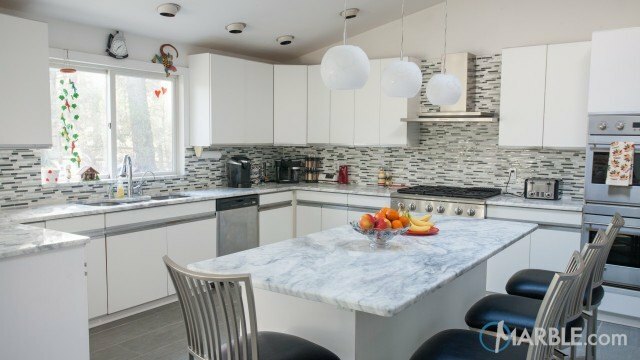 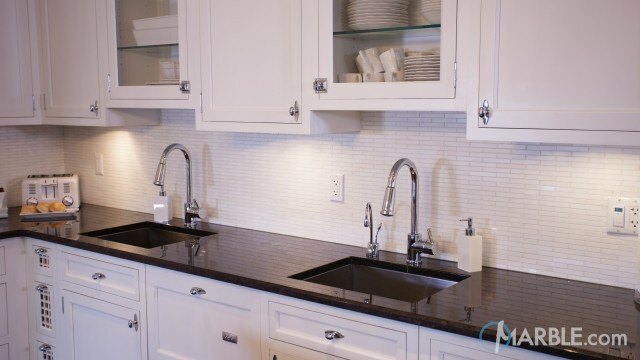 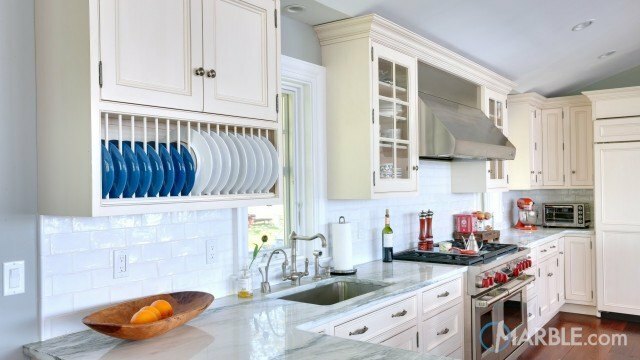 The veiny granite reflects against the white tile of the back splash. 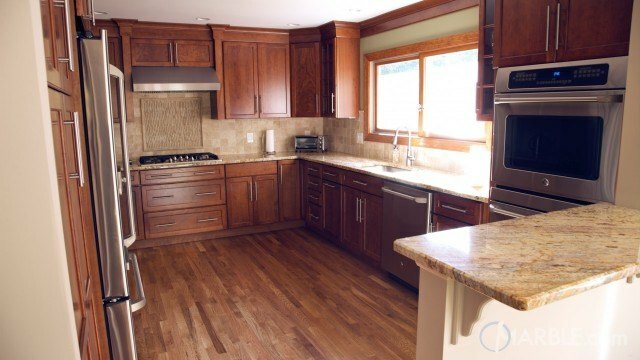 The entire room is tied together by a striking hardwood floor, which nicely plays off of the fluidity of the light counter top.